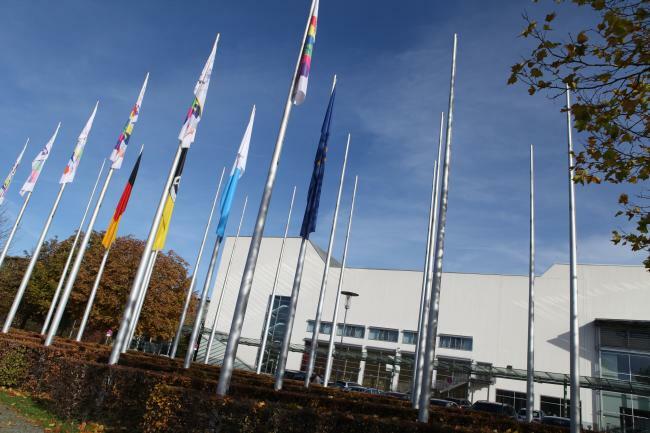 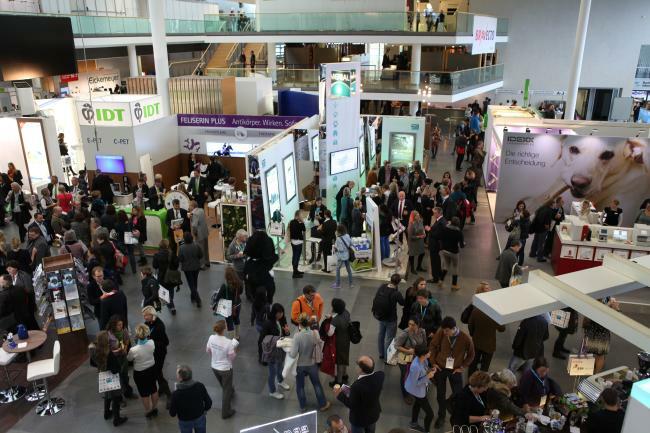 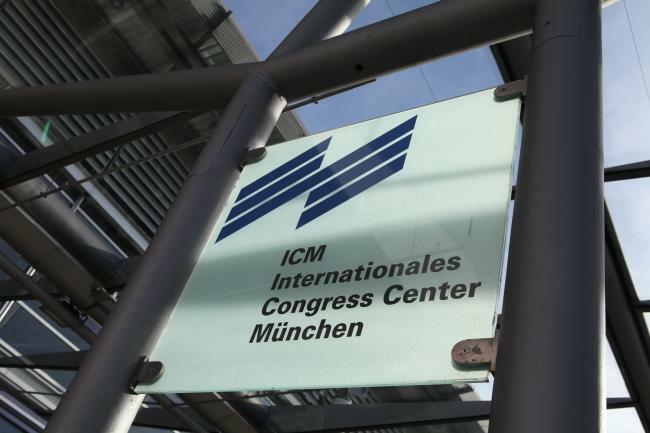 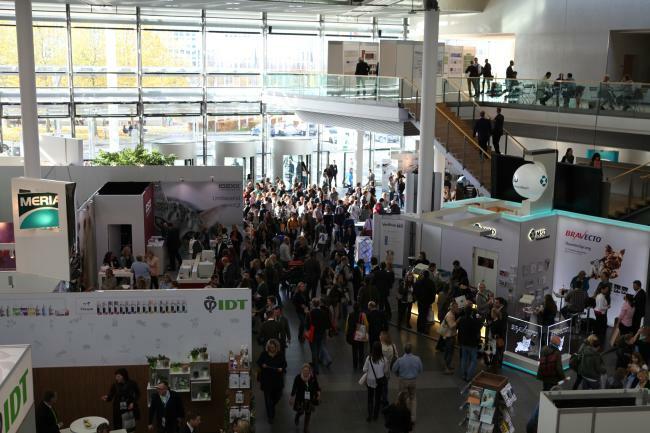 Venue of the congress: International Congress Center Munich. 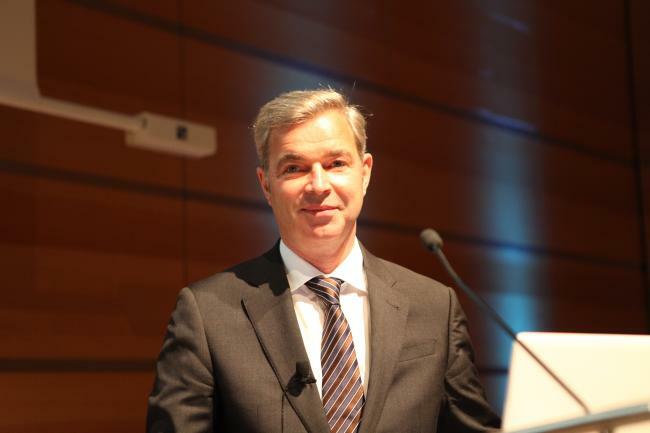 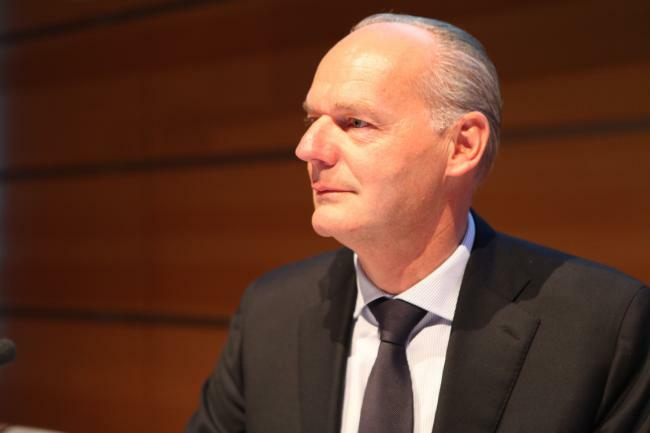 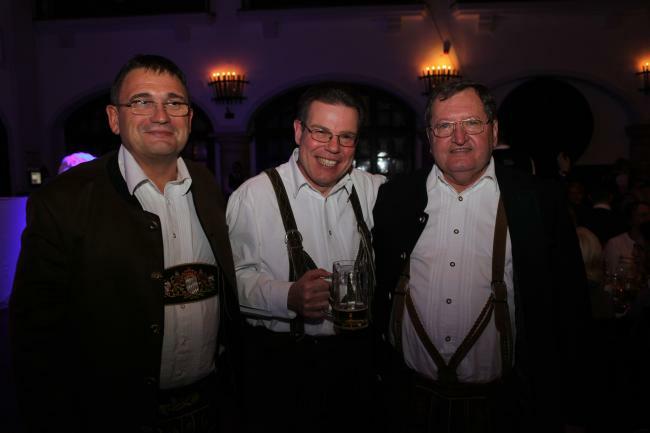 Dr. Marcel Huber, Head of the Bavarian State Chancellery and State Minister for Federal Affairs and Special Tasks. 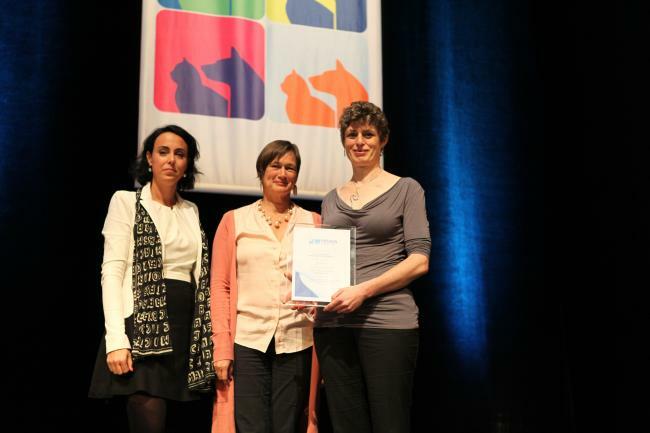 Dr. Monique Megens, Karin de Lange and Dr. Julia Palm, one of the FECAVA awardees. 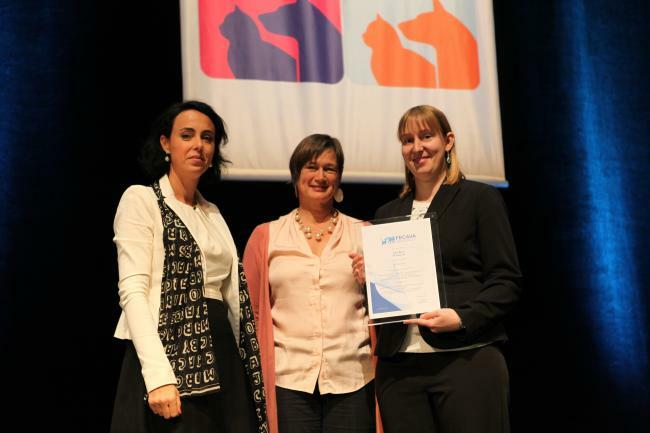 Dr. Monique Megens, Karin de Lange and Dr. Clare Rusbridge, the second FECAVA awardee. 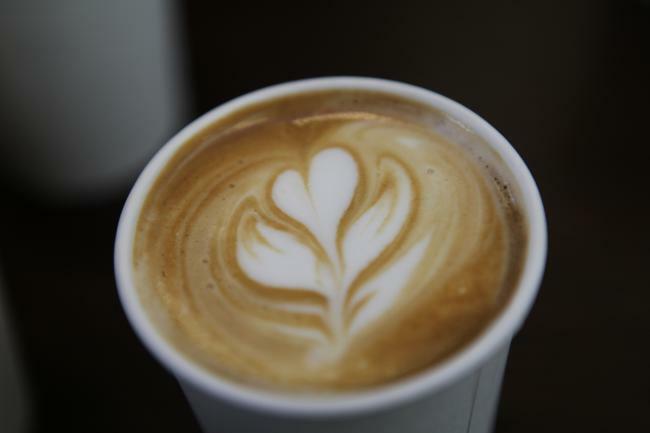 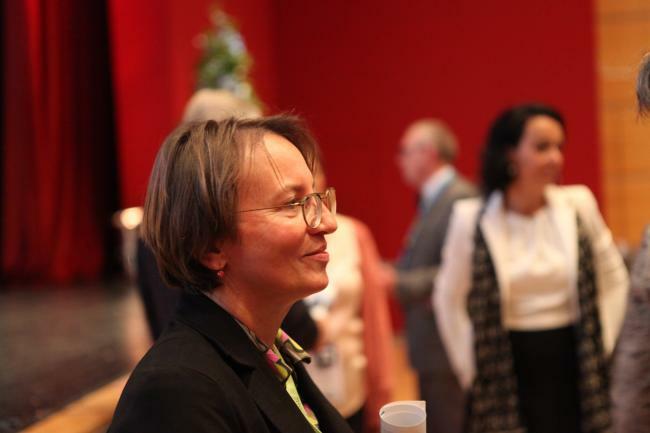 ... to Prof. Dr. Anne-Rose Günzel-Apel. 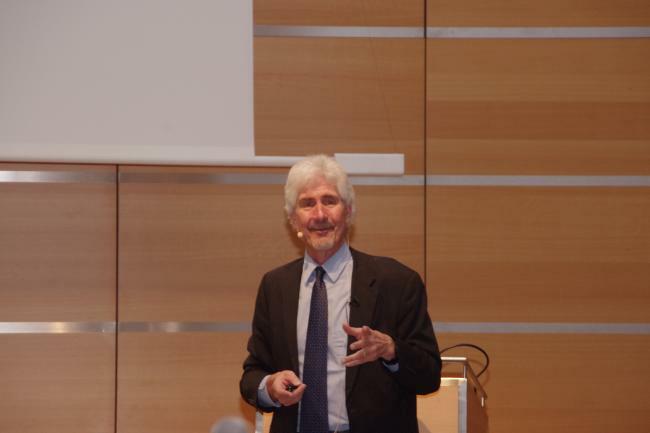 ... and Prof. Dr. Ernst-Günther Grünbaum. 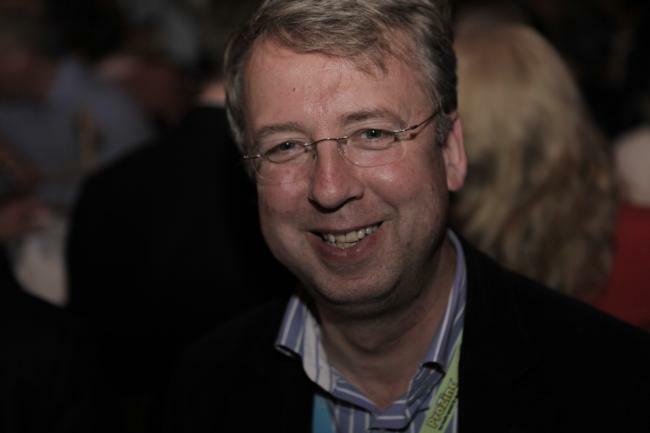 Prof. Dr. Dr. h.c. Adam Rijnberk. 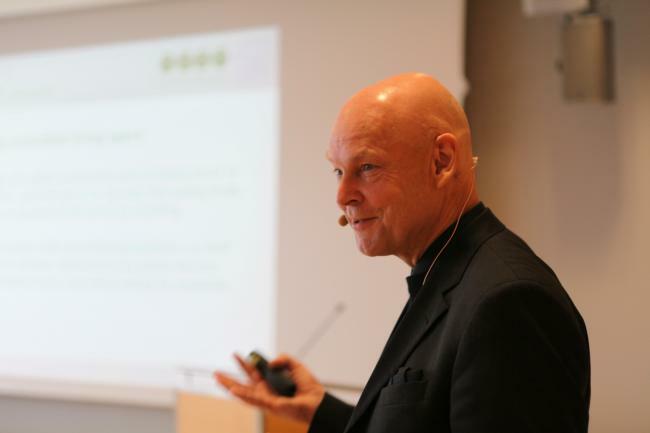 ... keynote speaker Andreas Kieling. 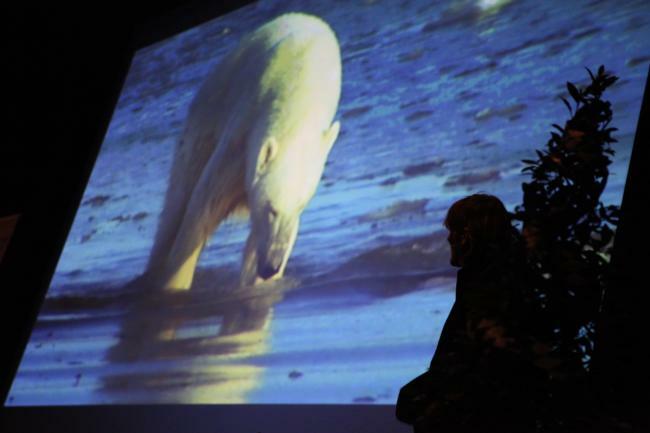 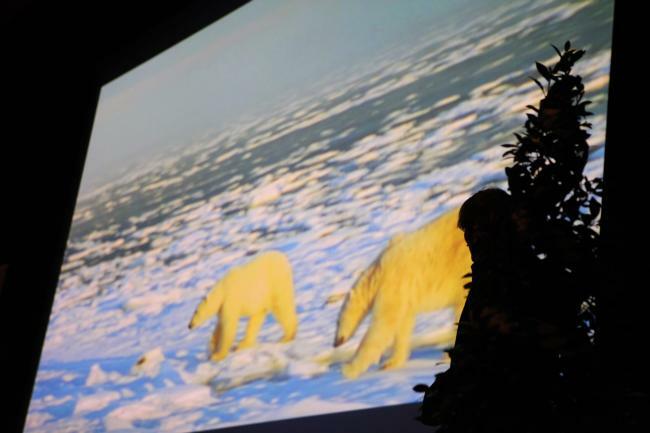 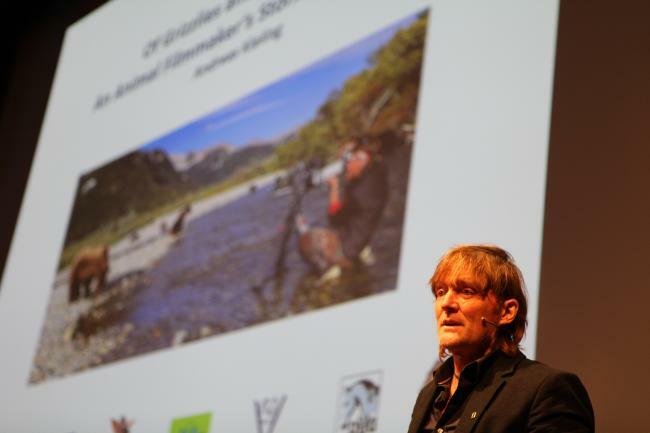 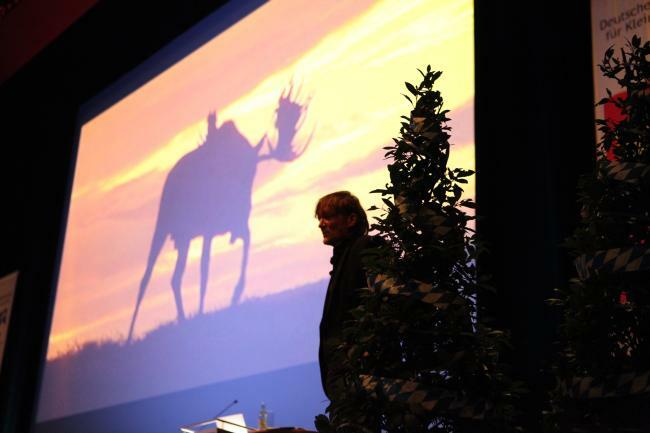 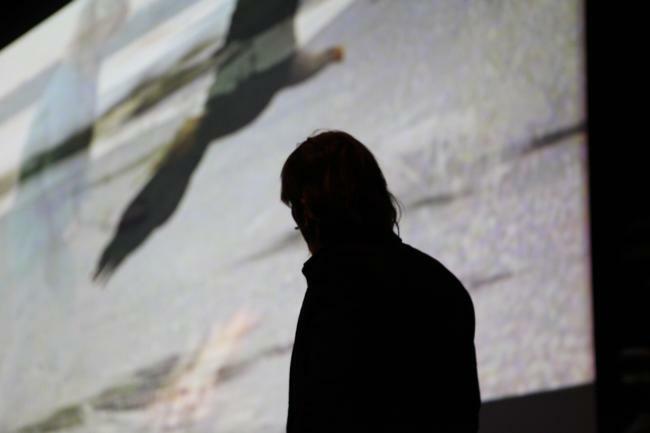 ... talks of "Grizzlies and Polar Bears - An Animal Filmmaker's stories from Alaska". 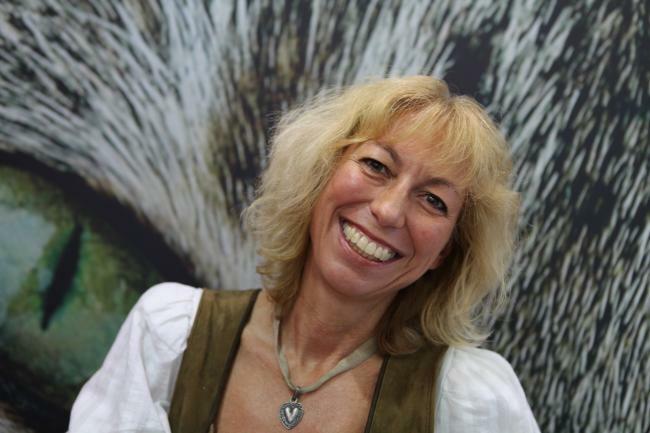 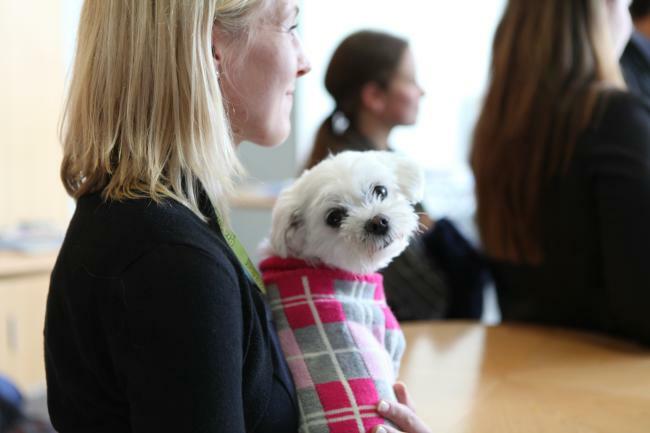 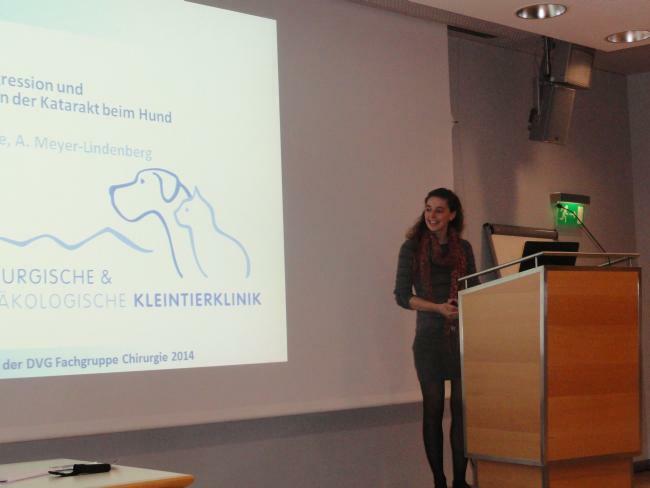 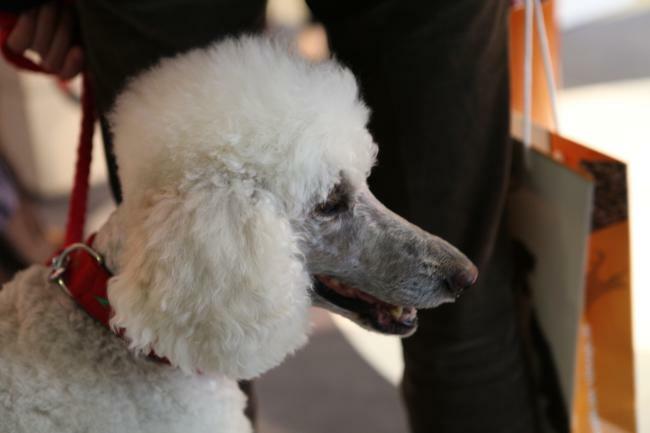 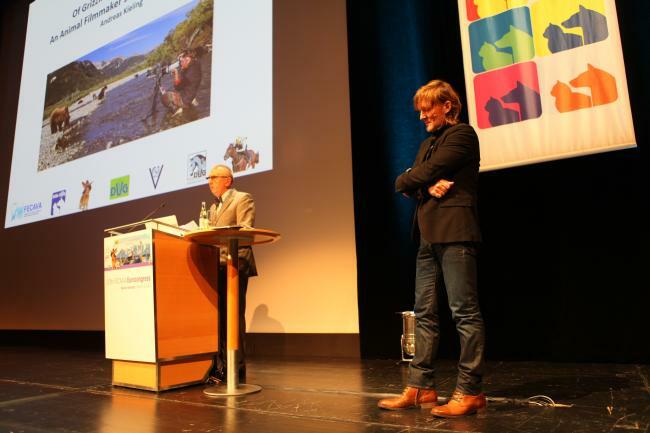 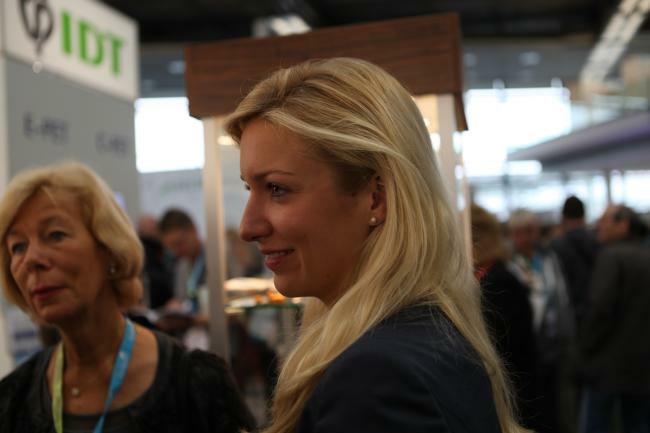 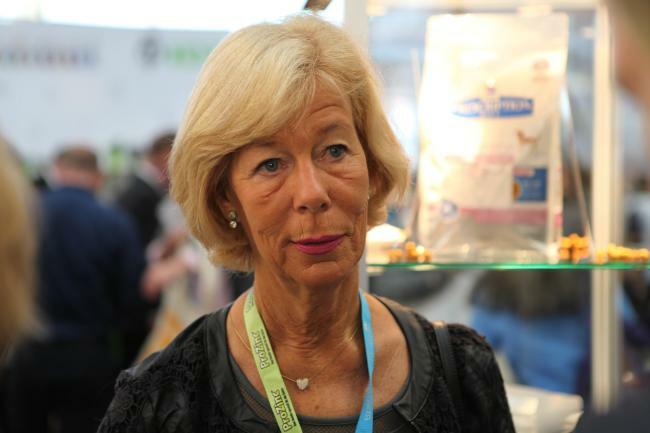 Dr. Susanne Alldinger, managing director of the German Veterinary Medical Society. 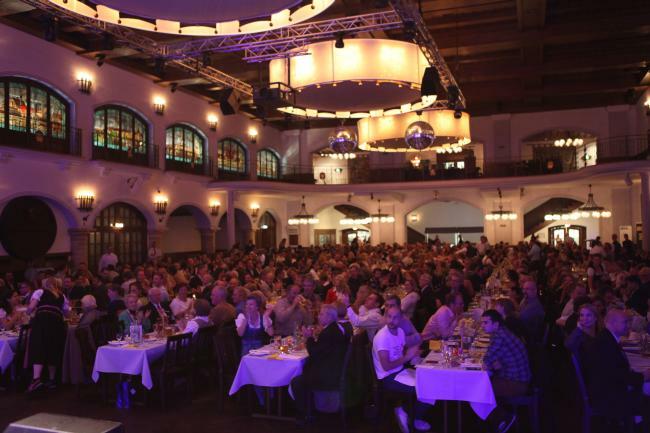 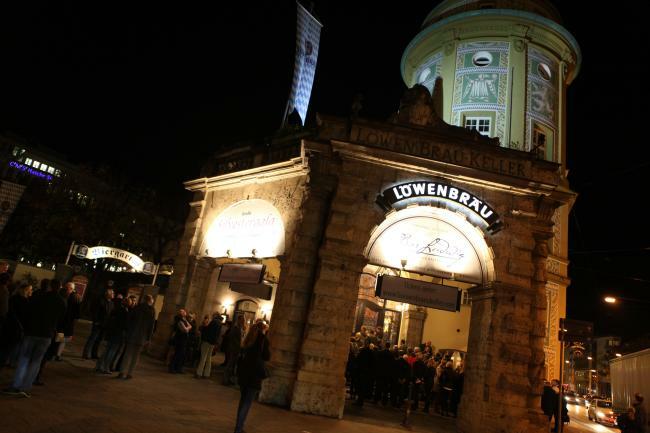 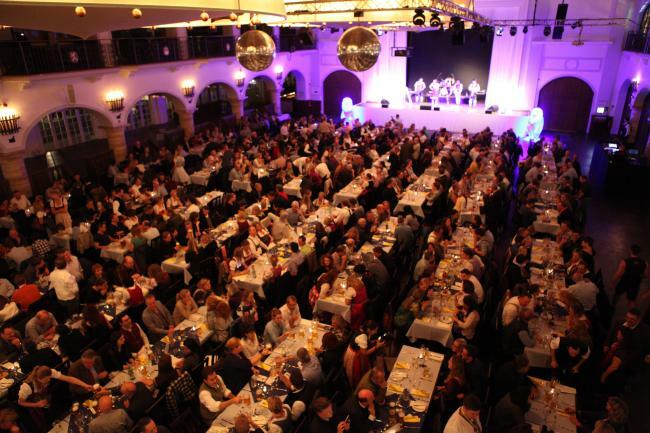 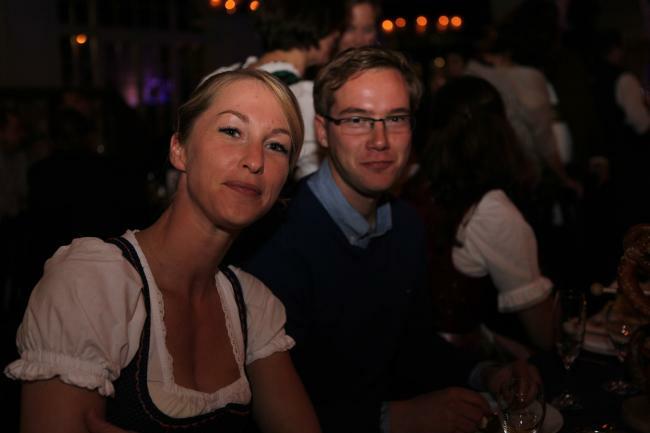 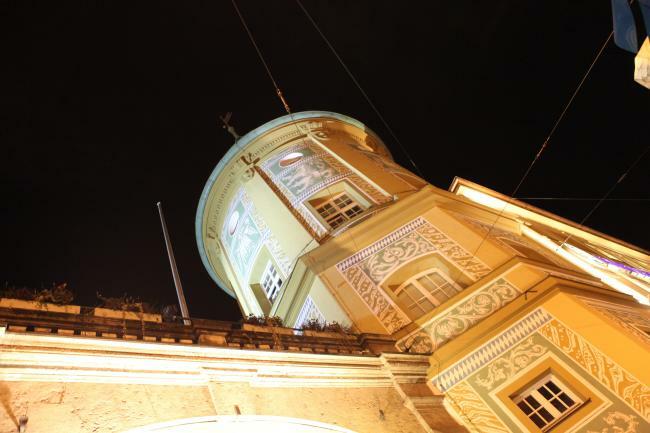 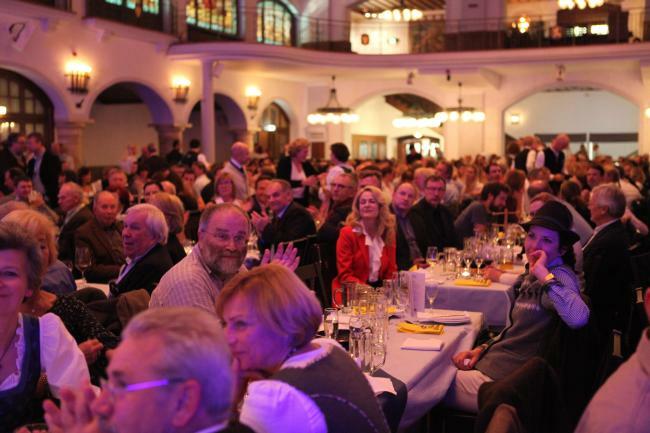 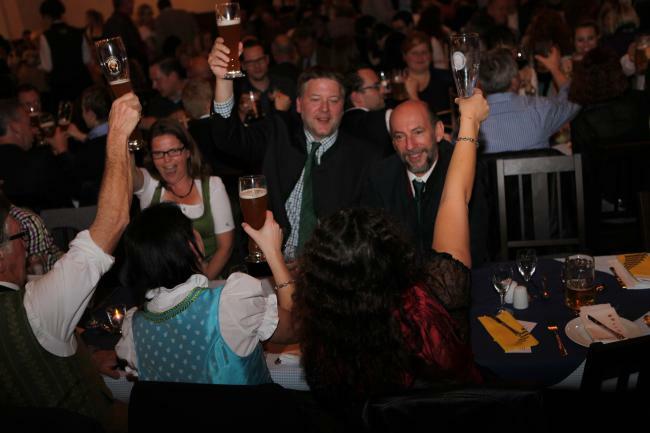 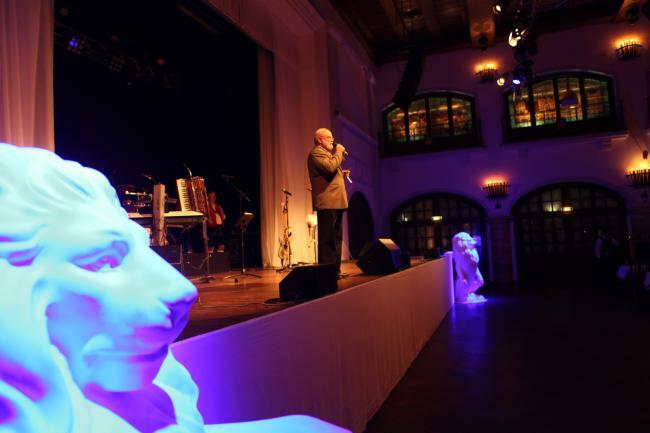 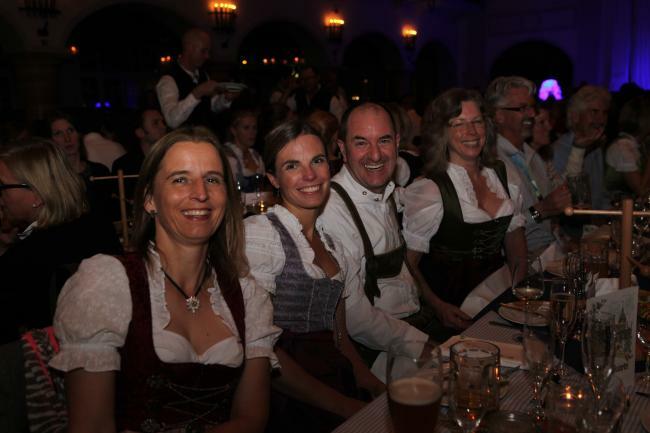 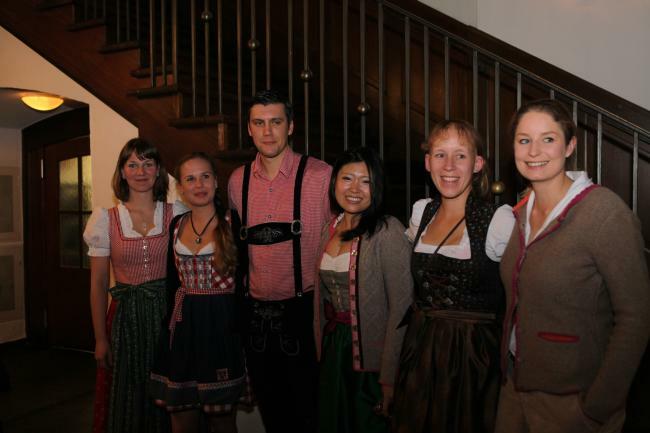 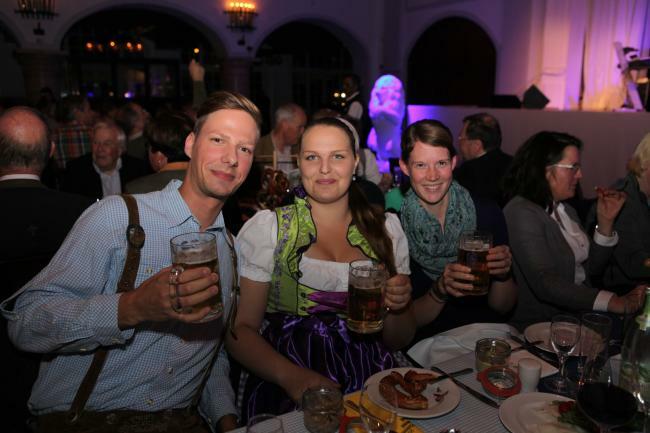 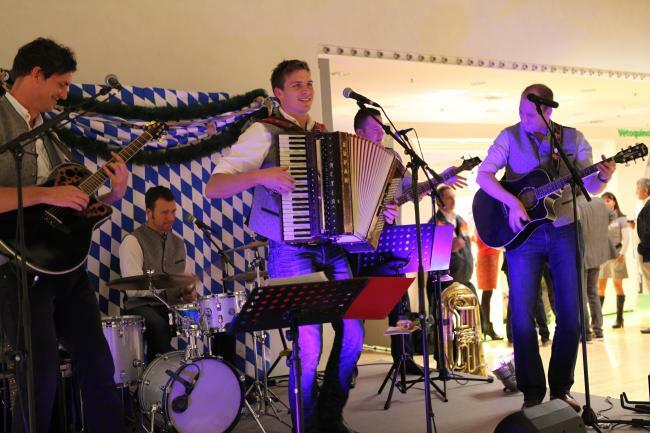 ... with the Bavarian live band "Gaudi Harmonie". 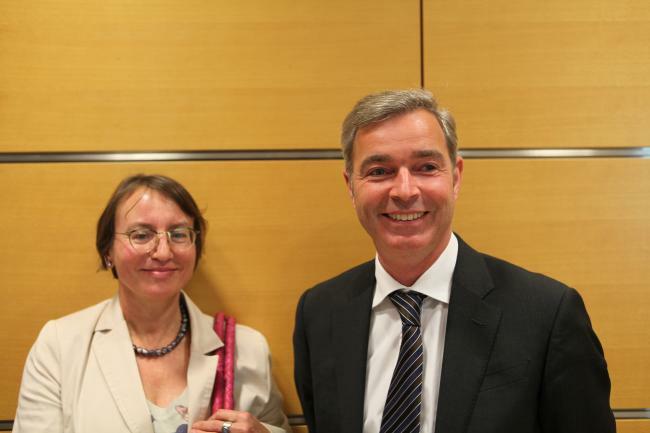 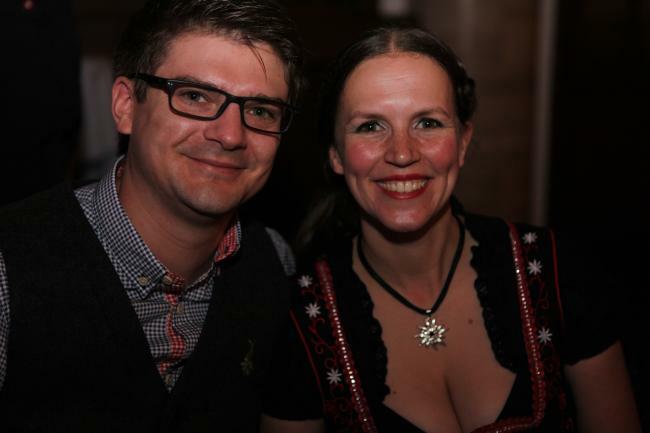 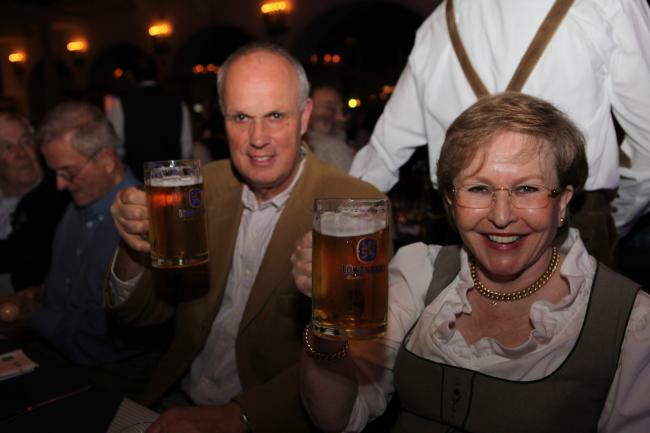 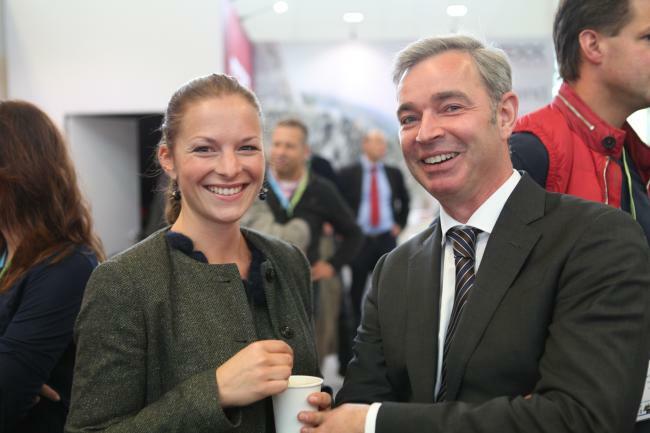 Dr. Bianka Schulz and Dr. Bernhard Gerber. 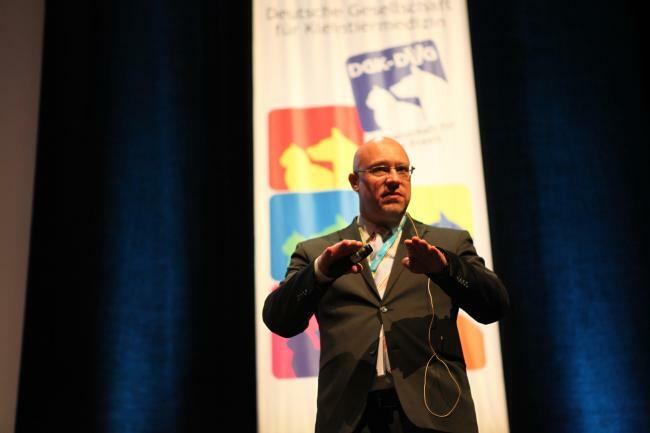 Prof. Dr. Dr. Thomas Vahlenkamp. 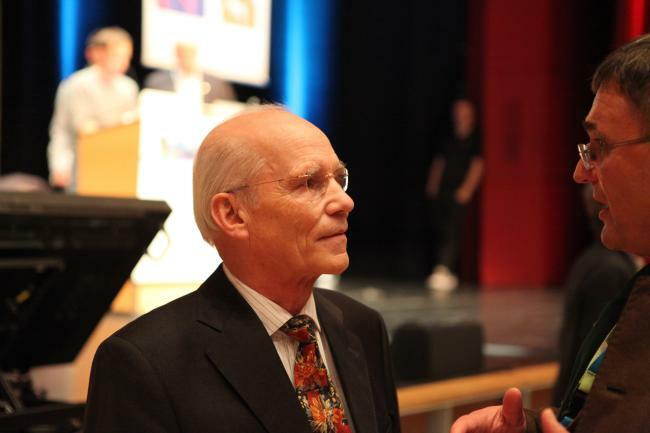 Congress president Prof. Dr. Roberto Köstlin. 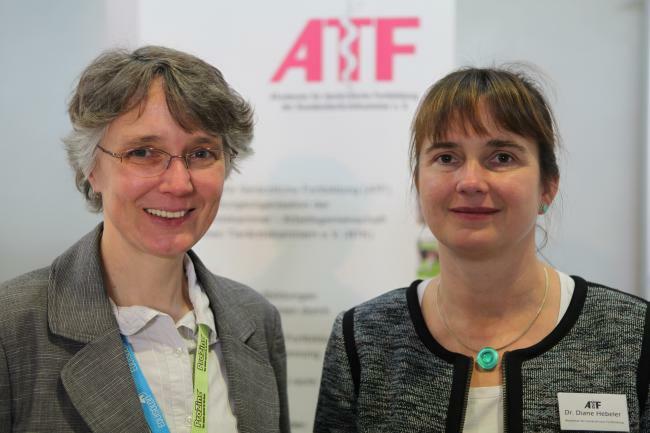 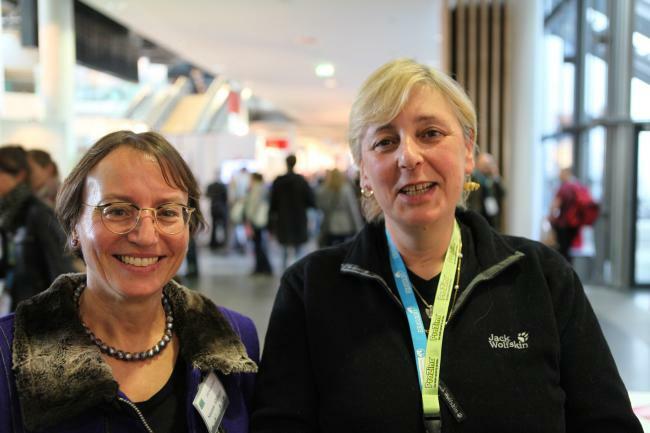 Dr. Susanne Alldinger and Prof. Dr. Andrea Meyer-Lindenberg. 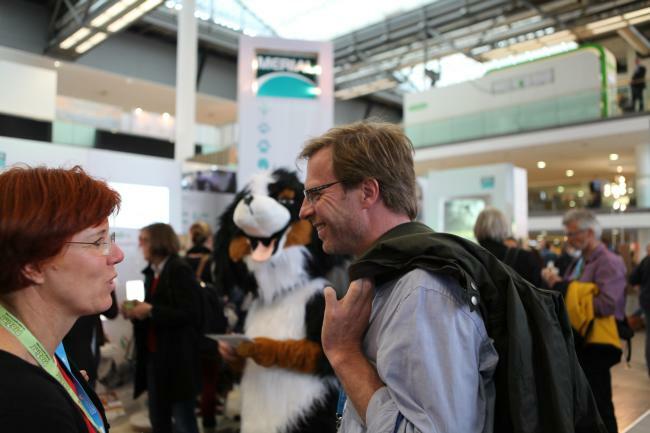 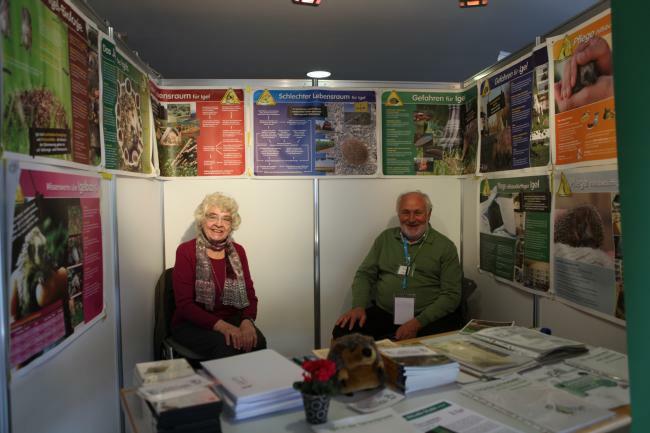 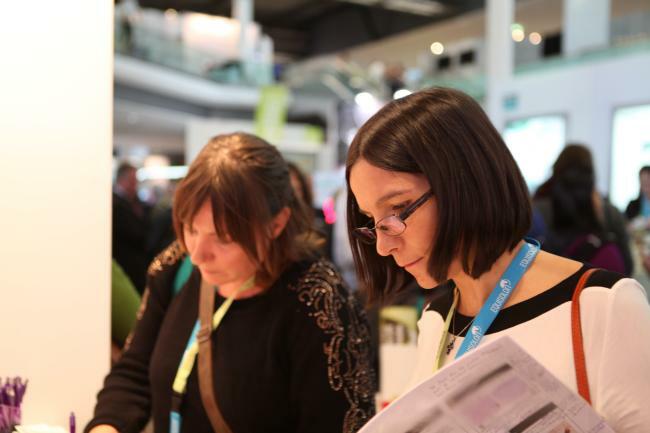 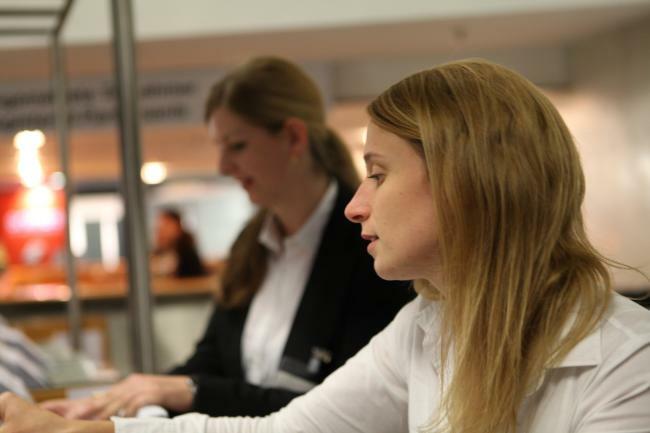 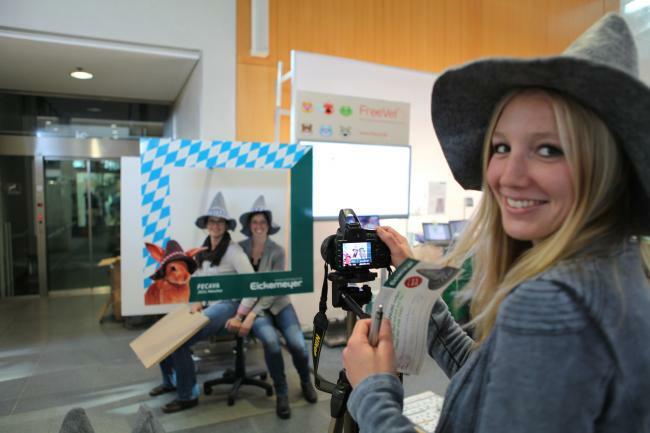 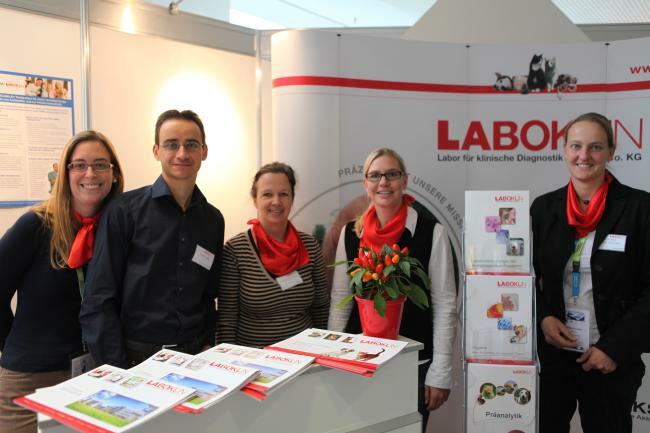 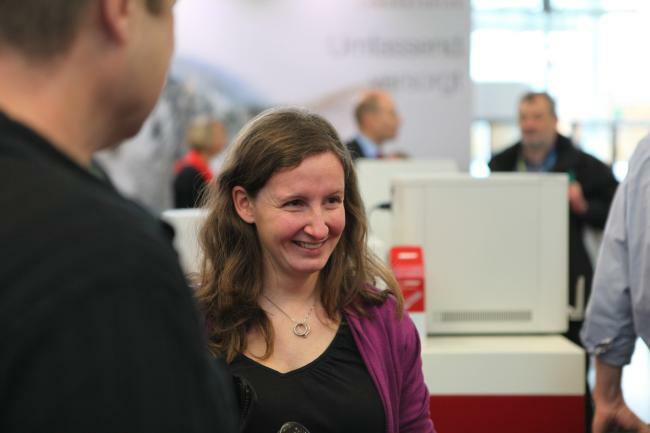 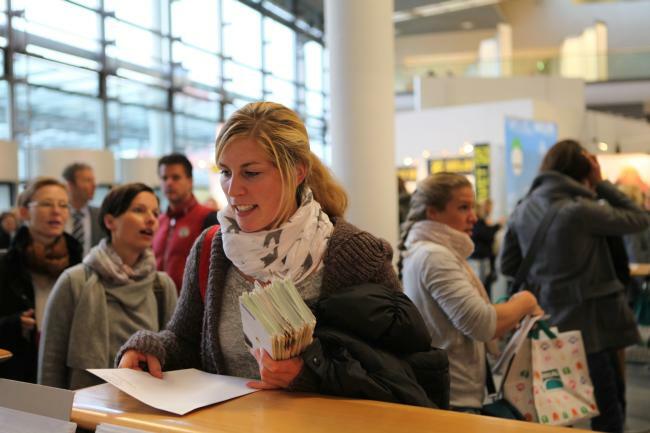 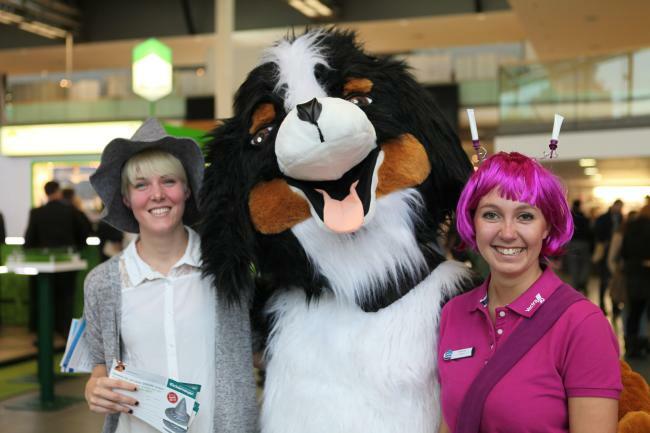 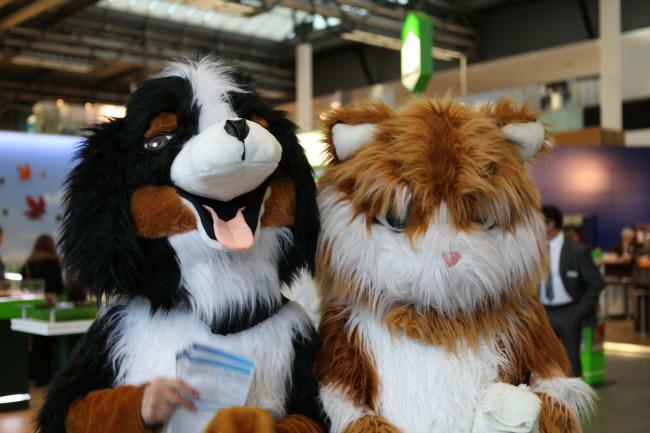 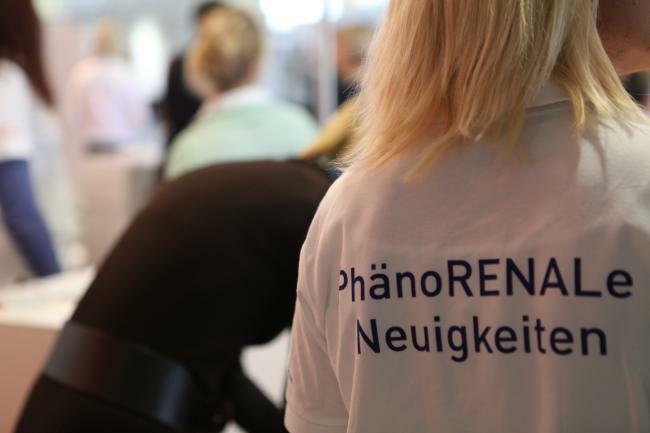 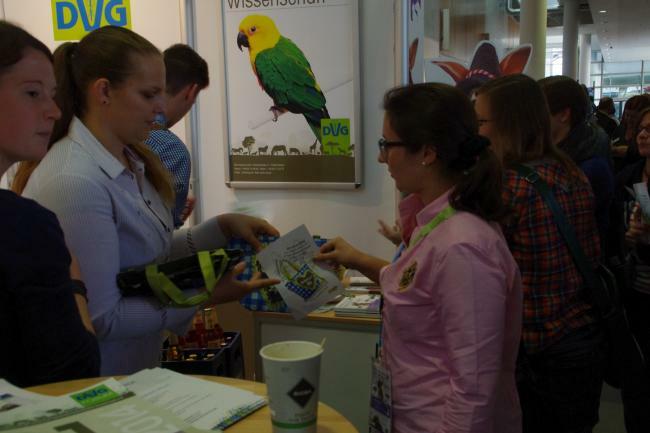 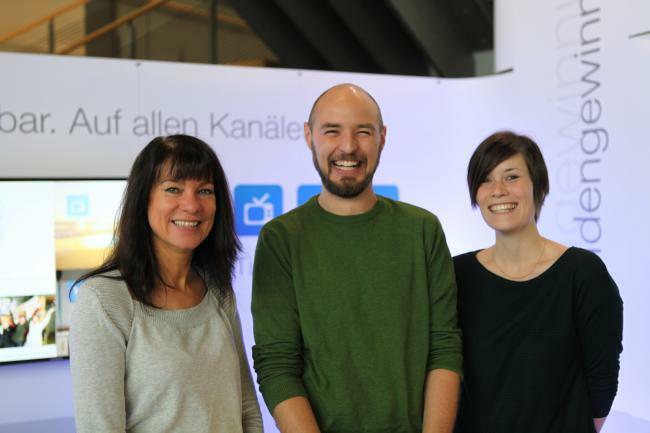 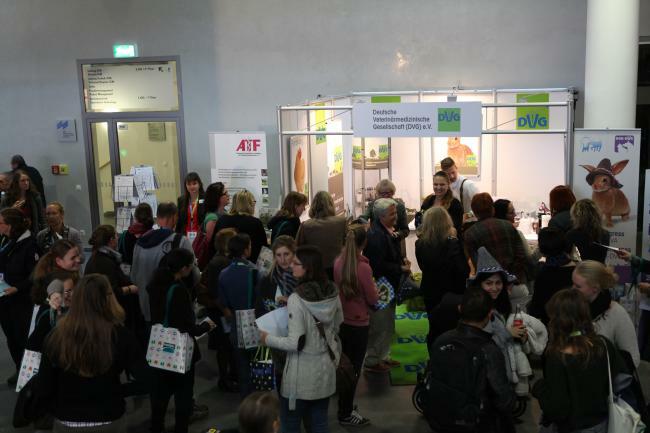 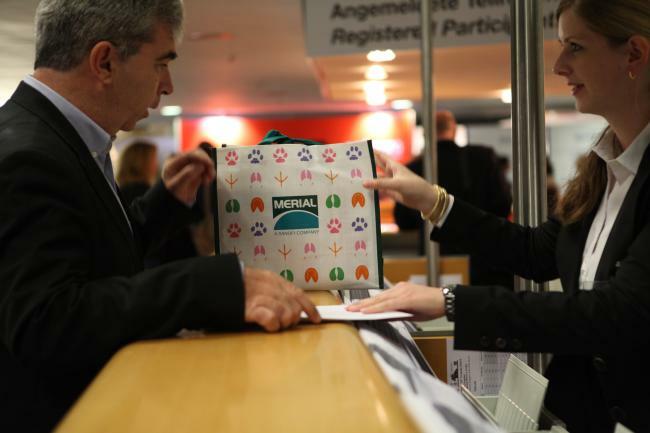 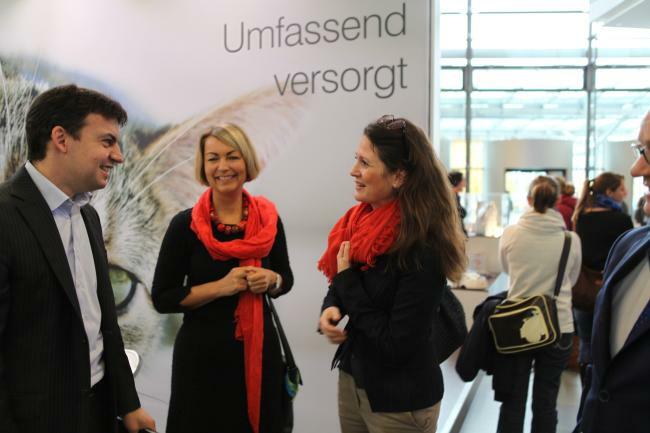 The team at the information booth of the German Veterinary Medical Society. 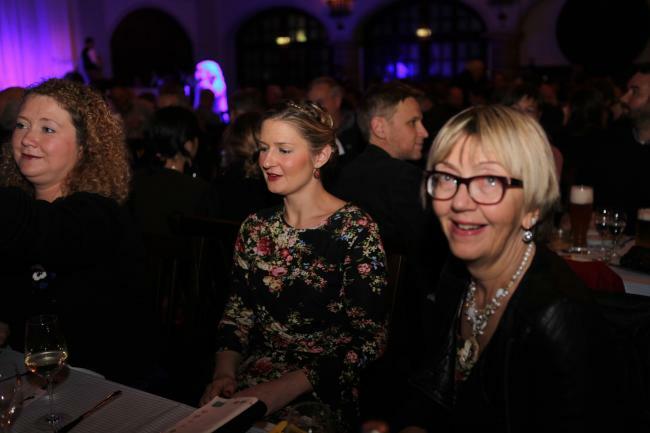 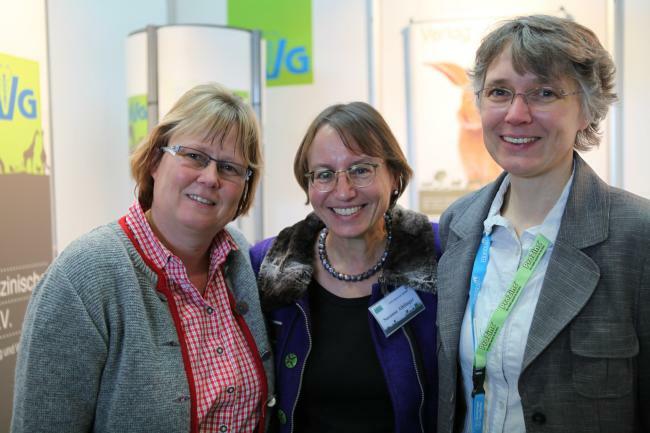 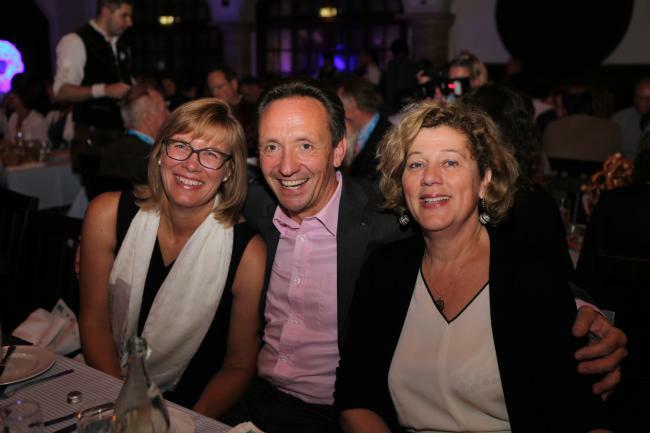 Prof. Dr. Sabine Tacke, Dr. Susanne Alldinger and Marion Selig. 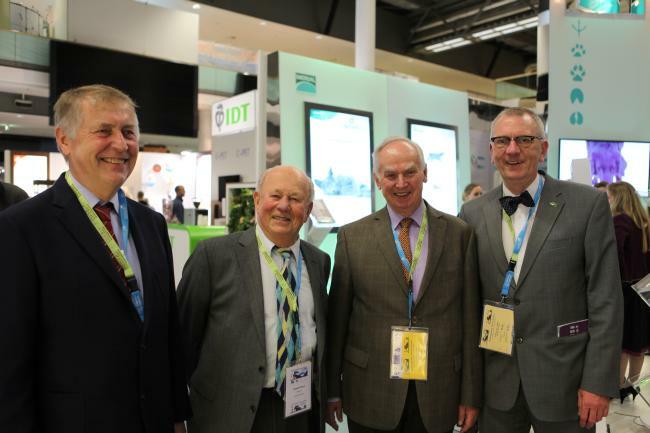 Prof. Dr. Leo Brunnberg, Prof. Dr. Rudolf Fritsch, Prof. Dr. Helmut Waibl, Dr. Friedrich Röcken. 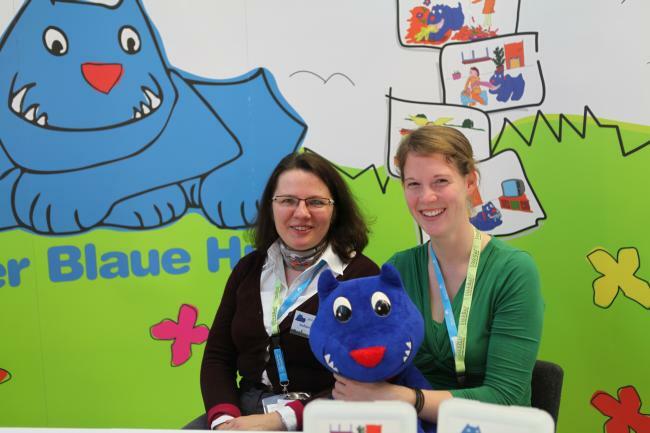 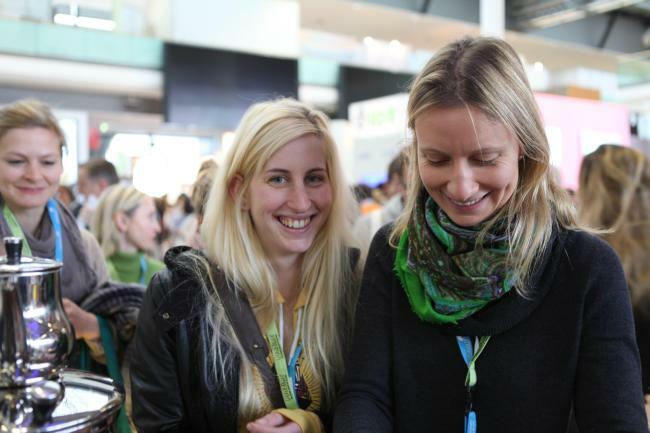 Dr. Juliane Parow and Kathrin Bauer at the information booth of the "Blue Dog". 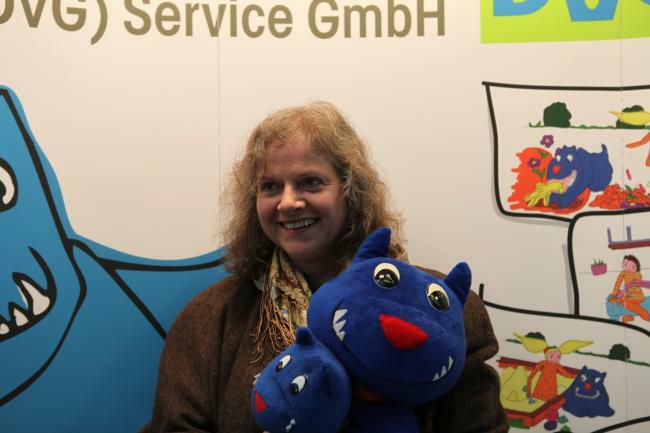 Dr. Hildegard Jung, Chair Blue Dog Germany. 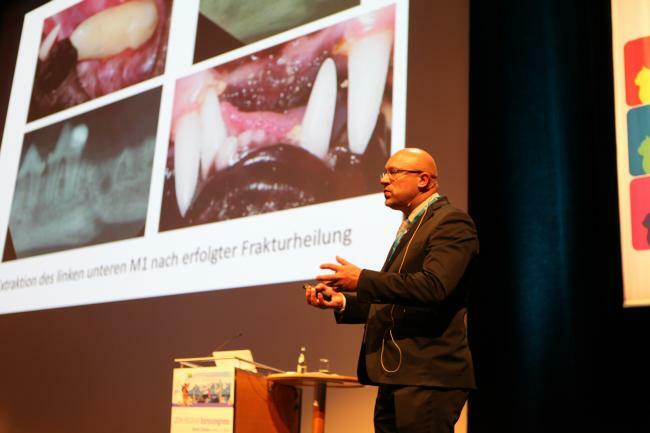 Prof. Dr. Franck Forterre (m). 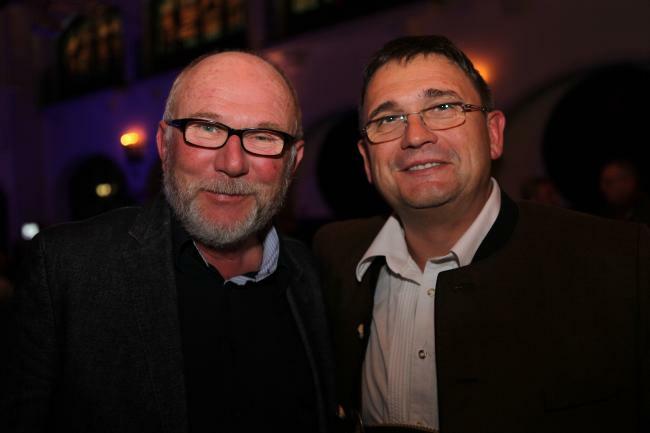 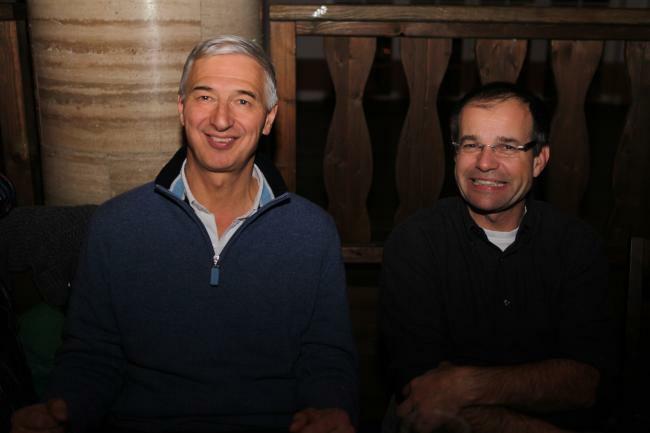 Prof. Dr. Karsten Feige (r). 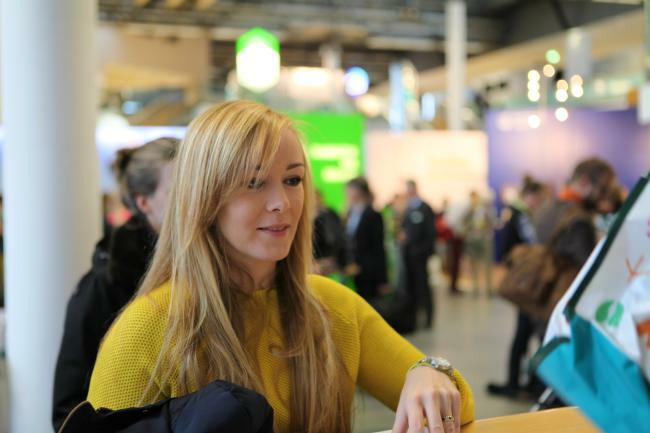 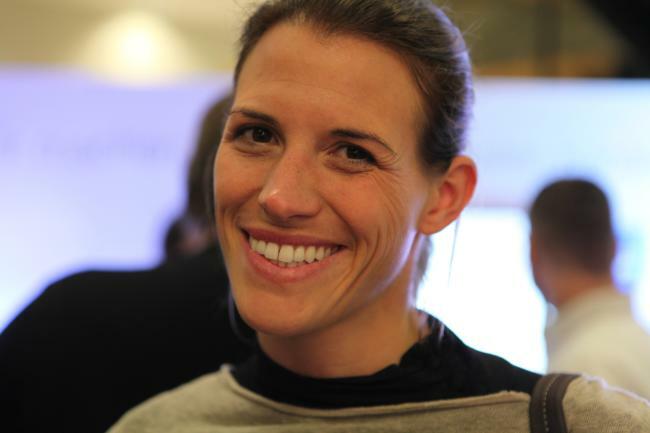 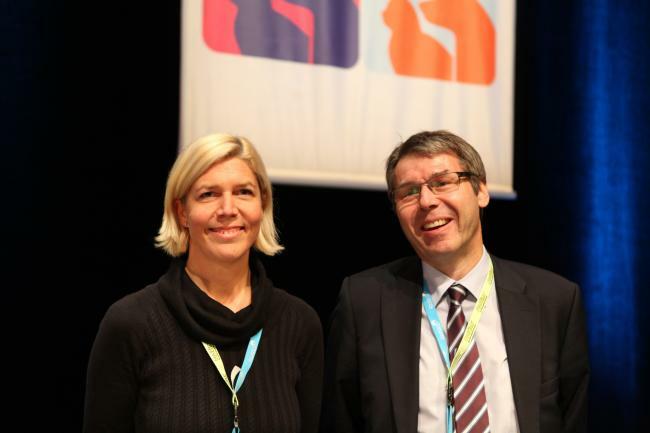 Dr. Martina van Suntum (m). 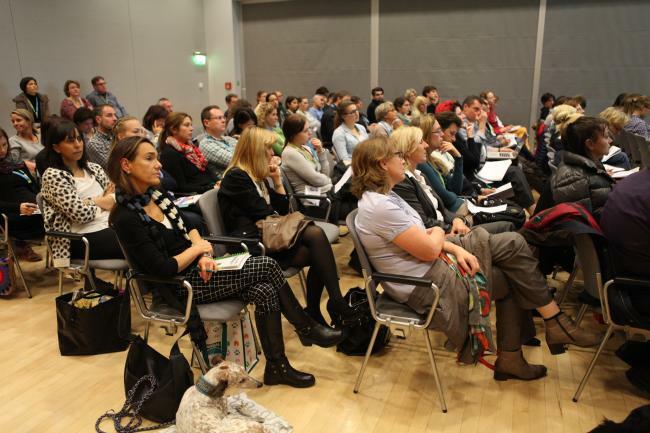 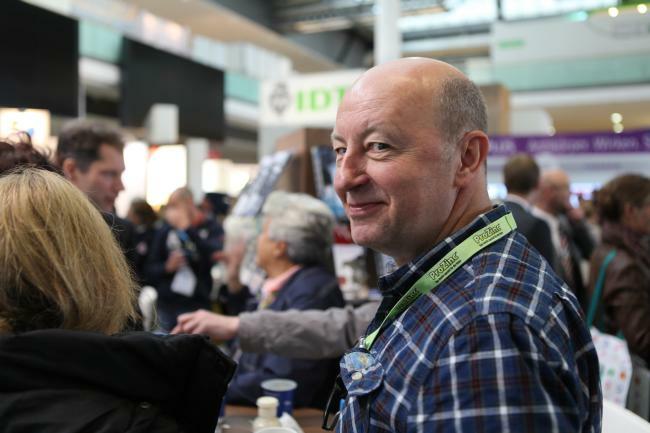 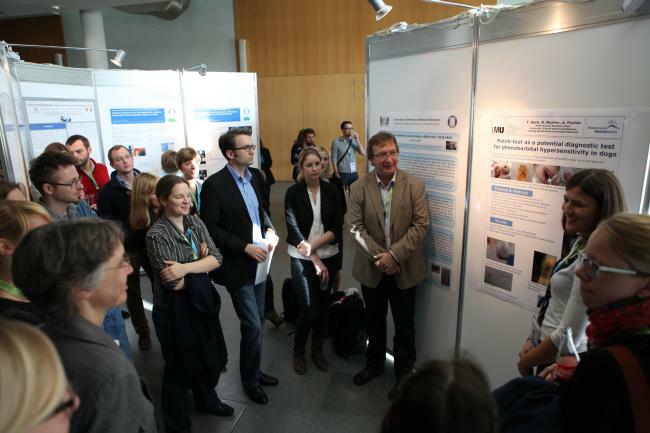 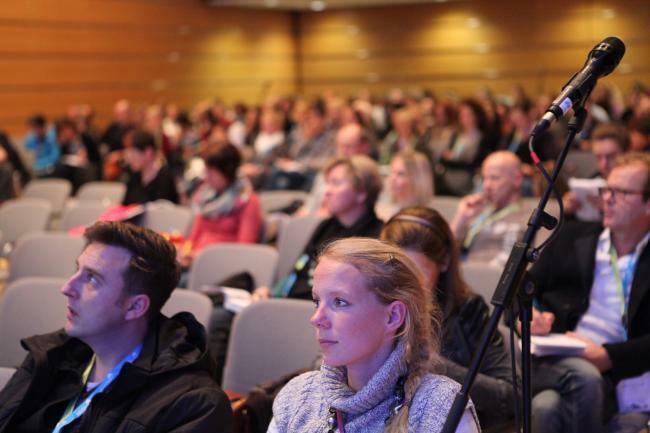 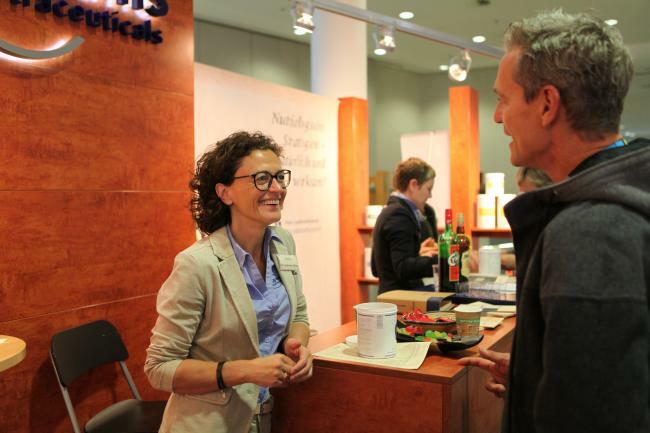 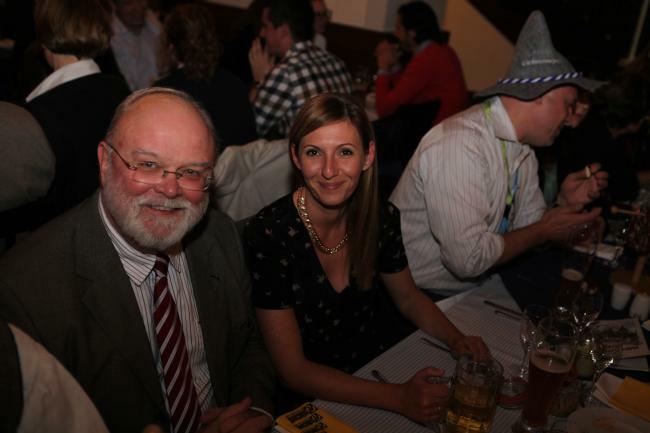 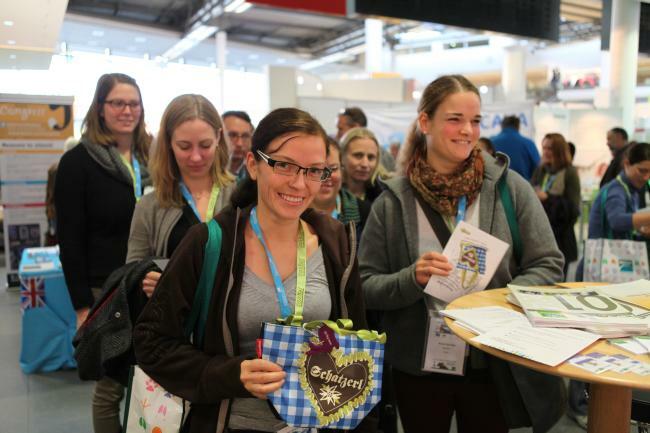 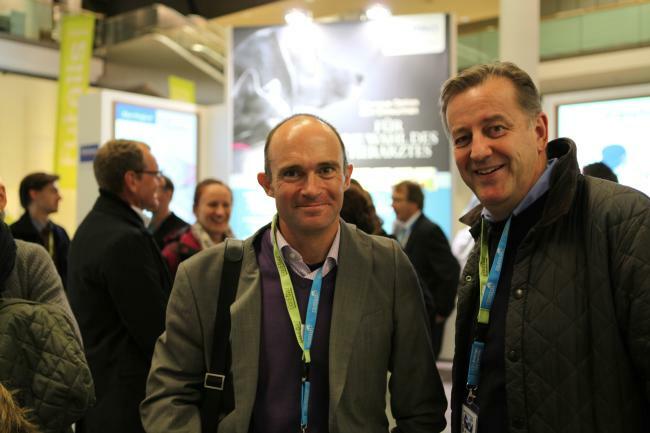 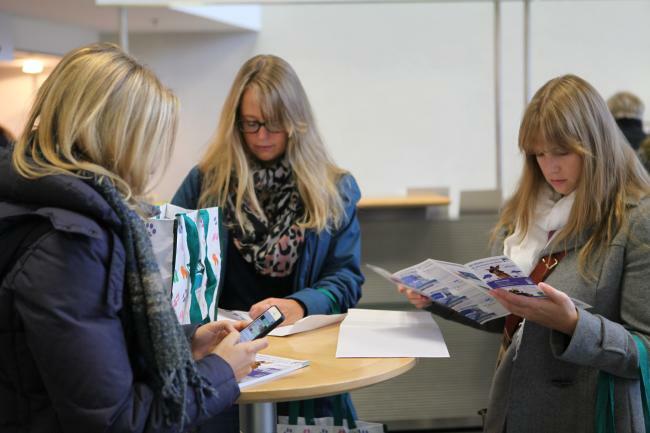 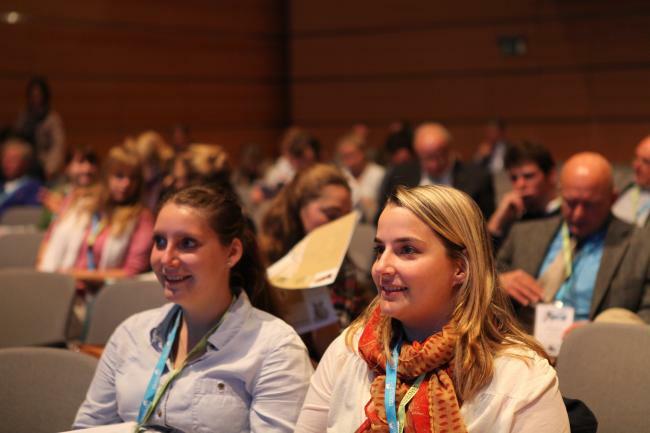 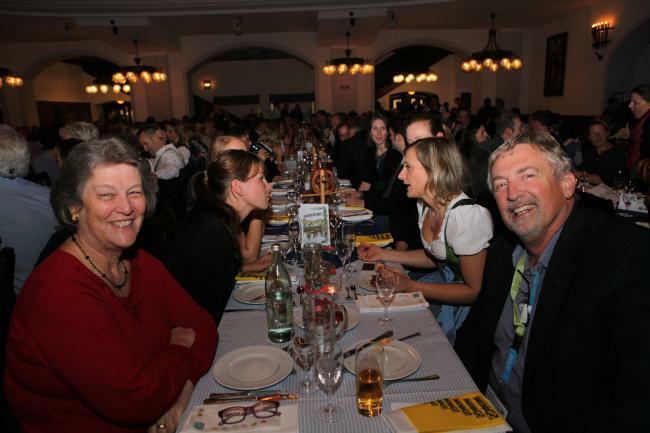 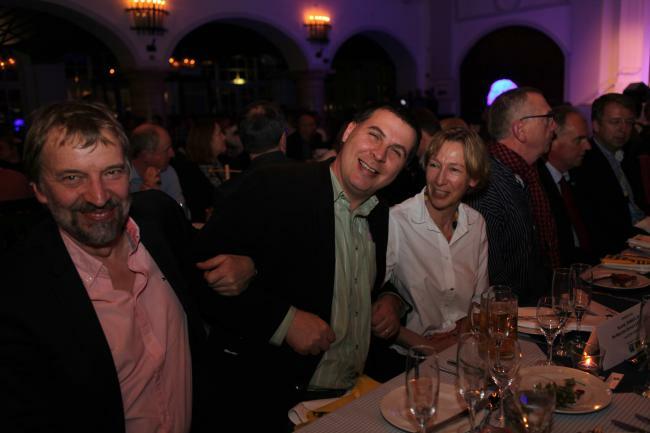 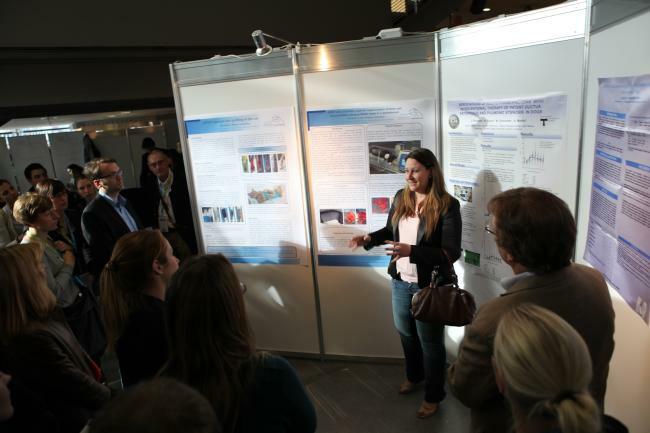 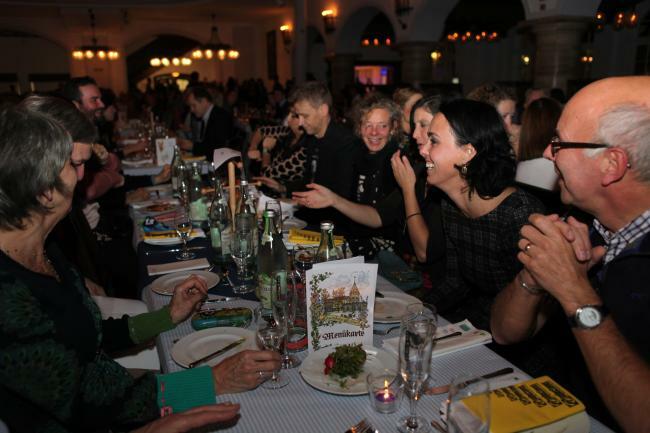 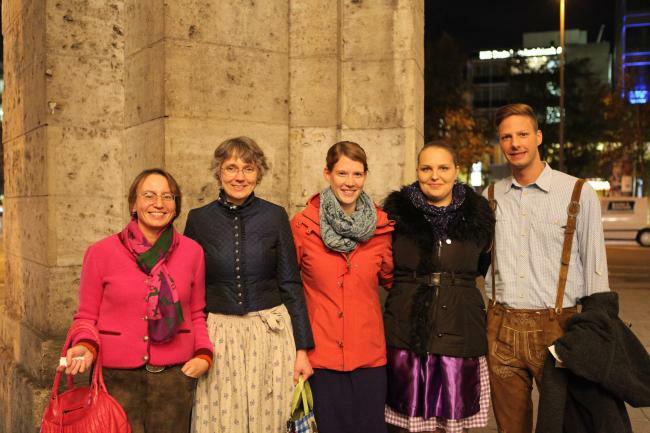 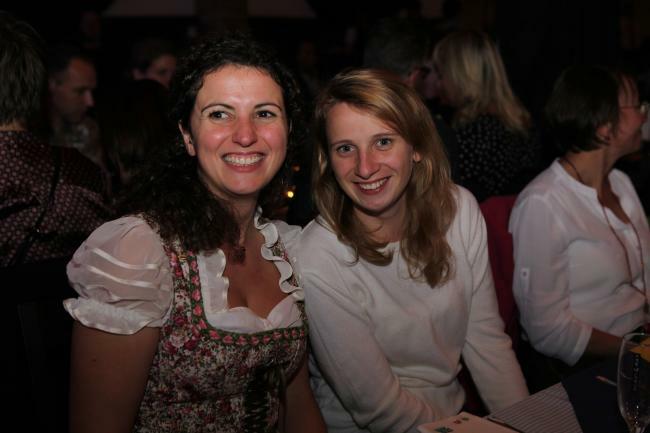 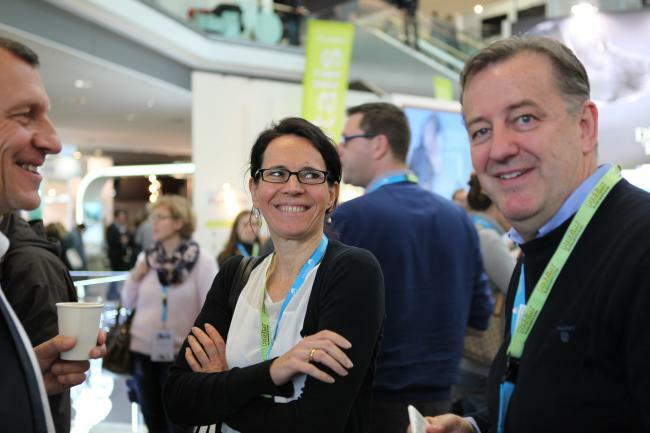 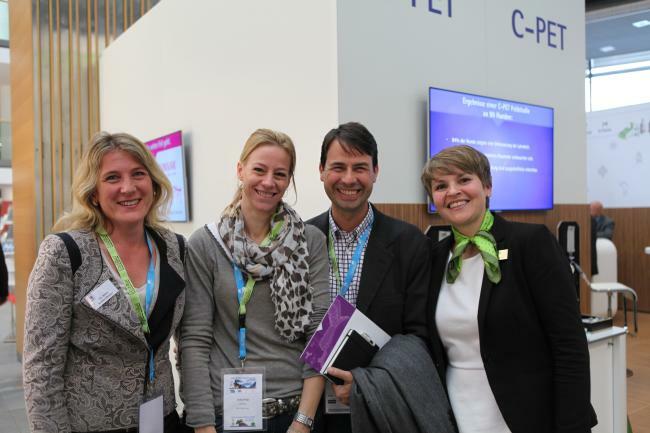 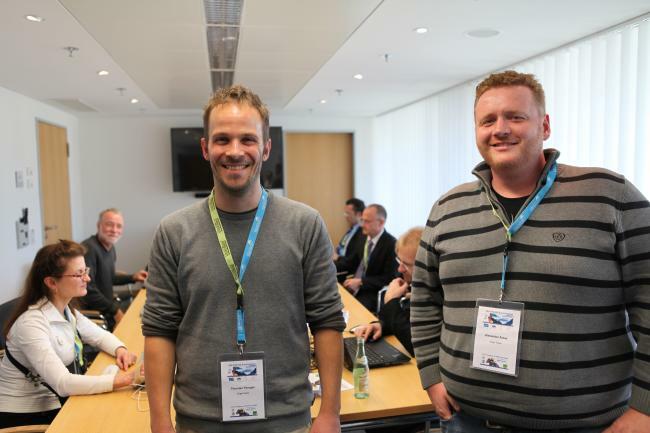 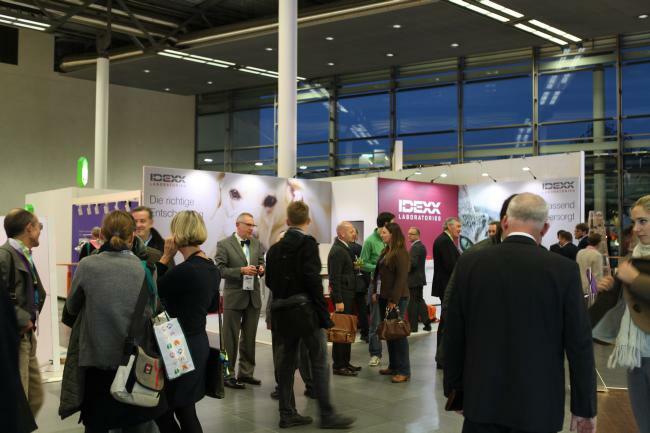 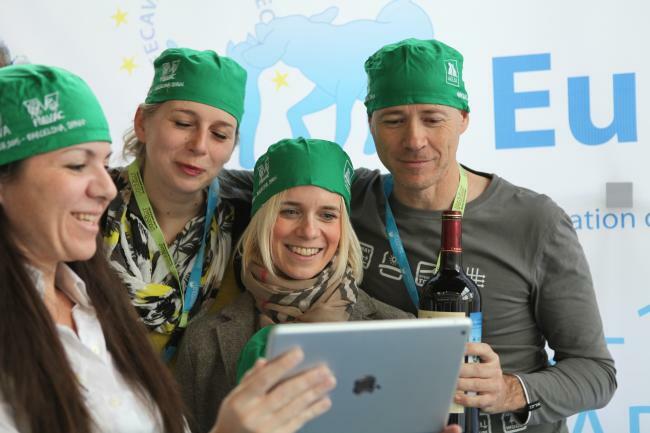 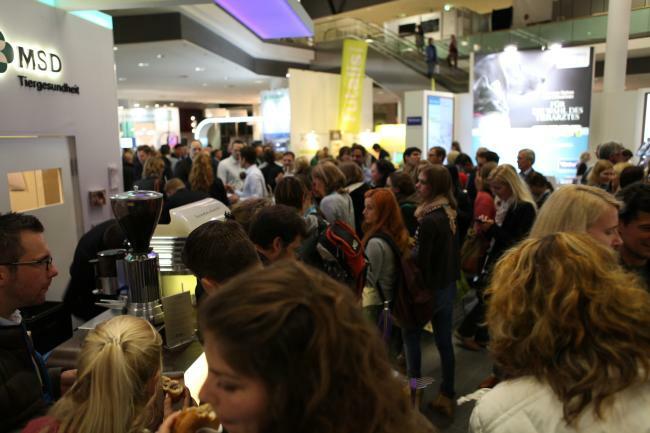 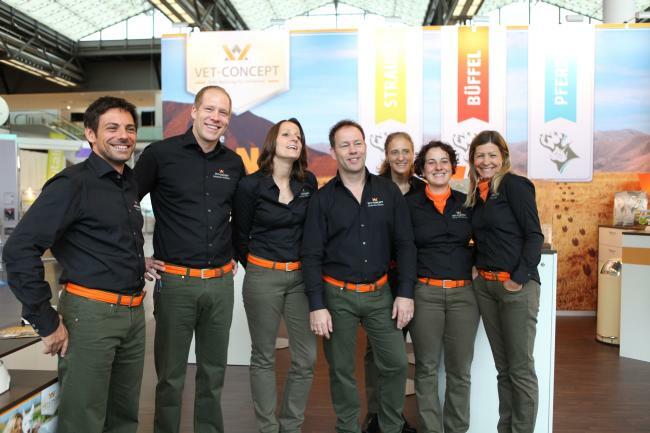 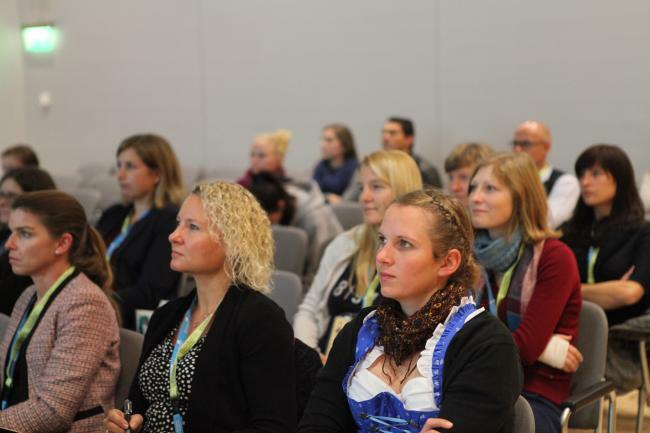 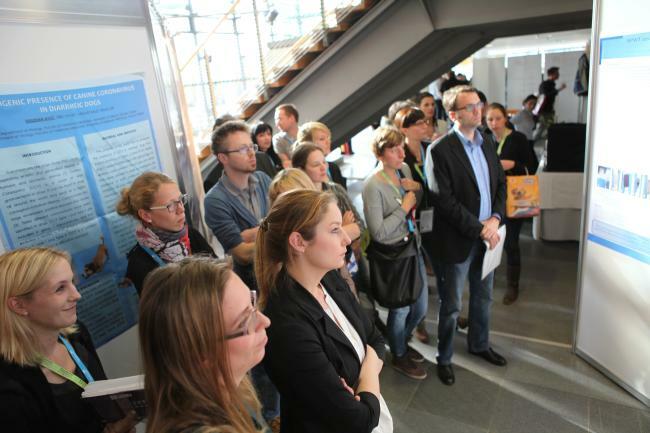 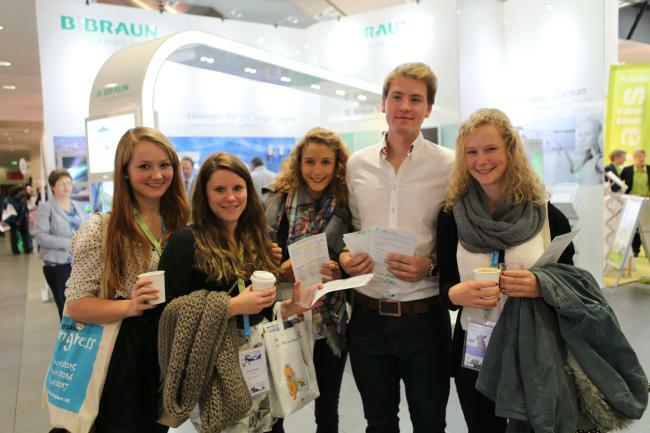 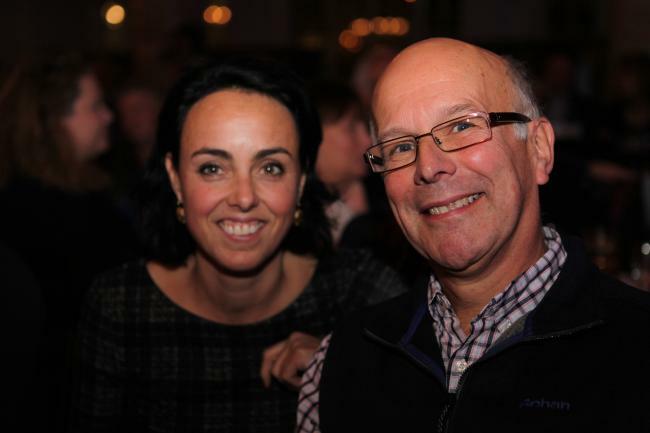 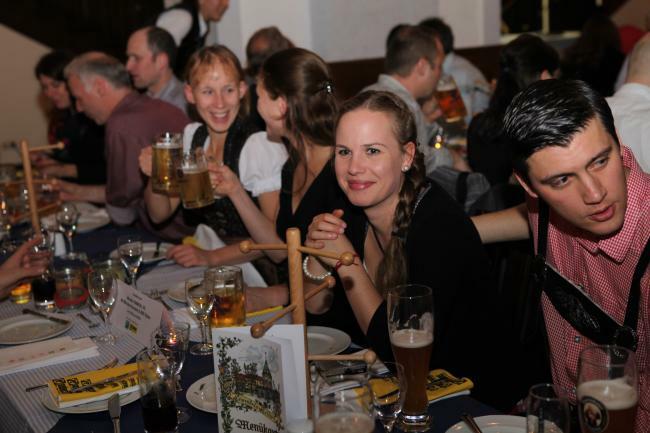 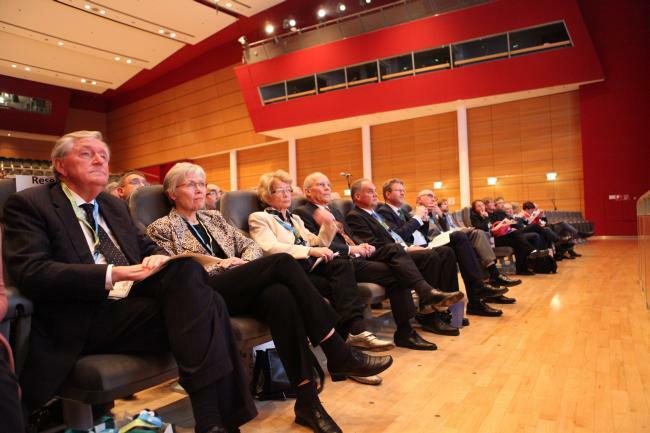 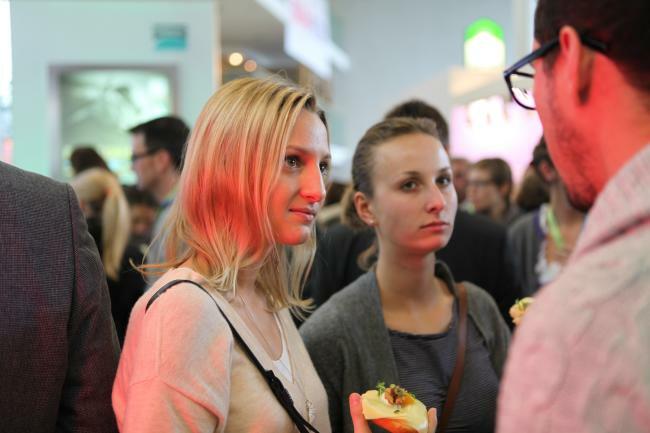 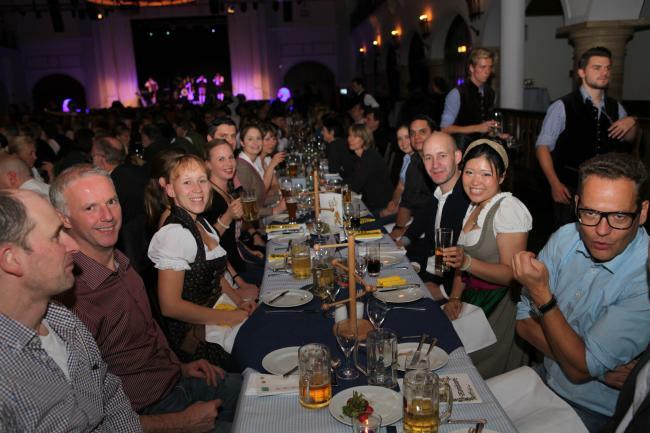 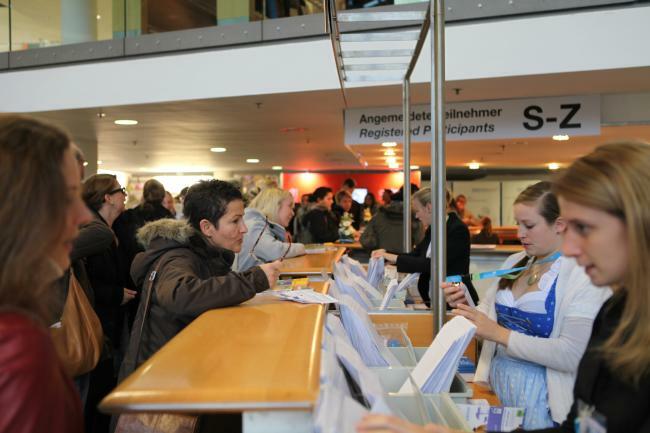 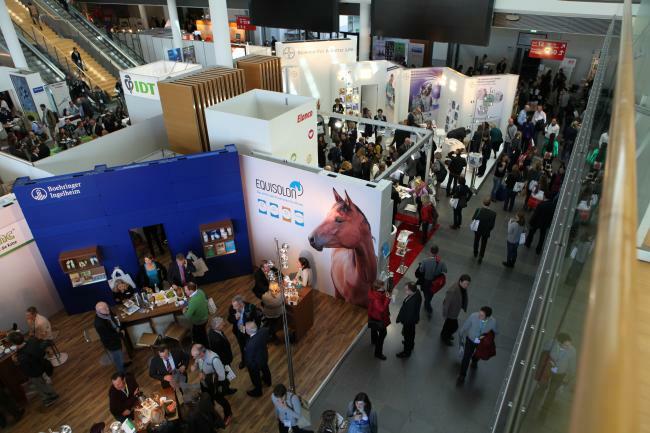 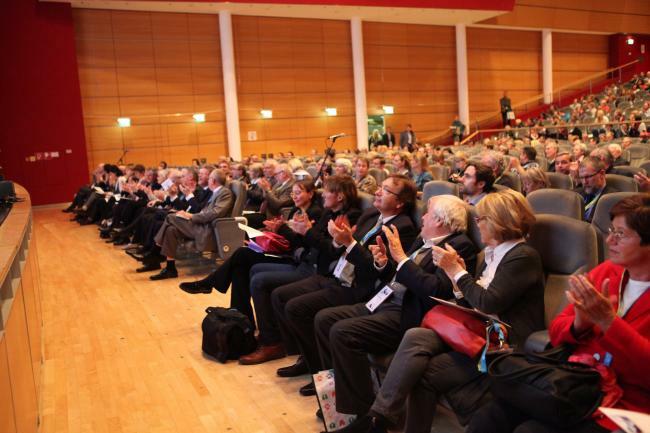 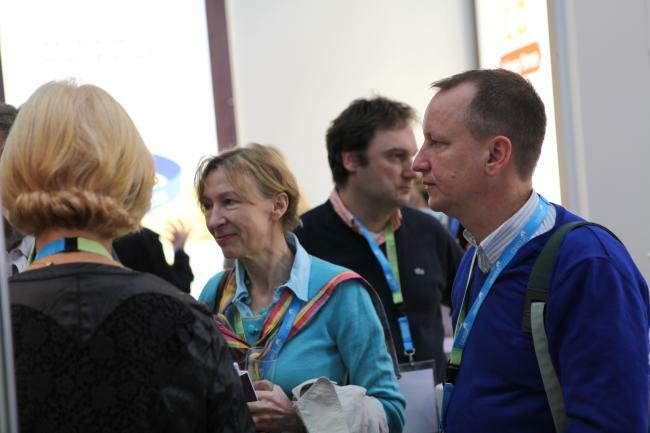 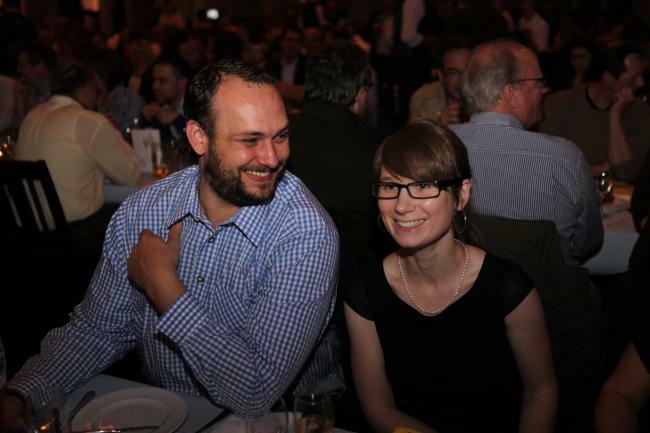 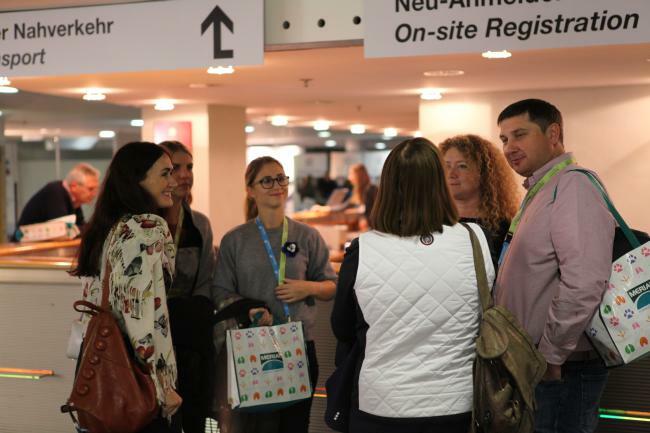 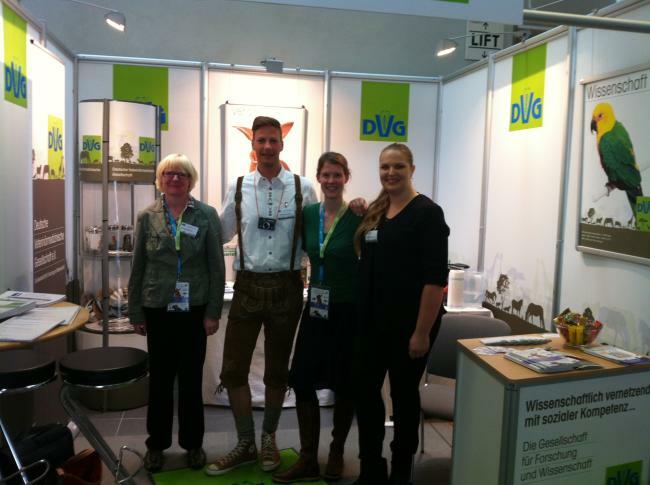 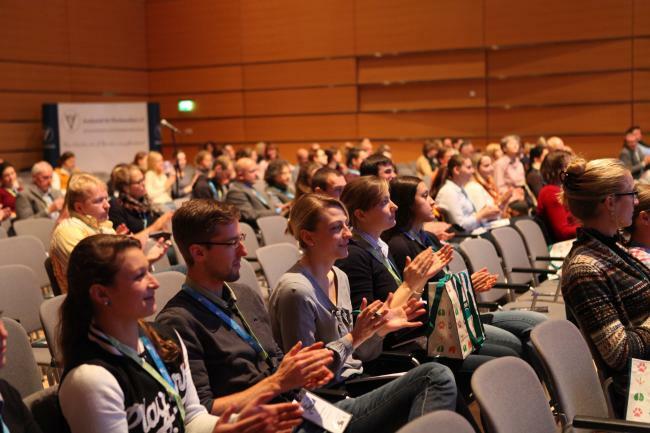 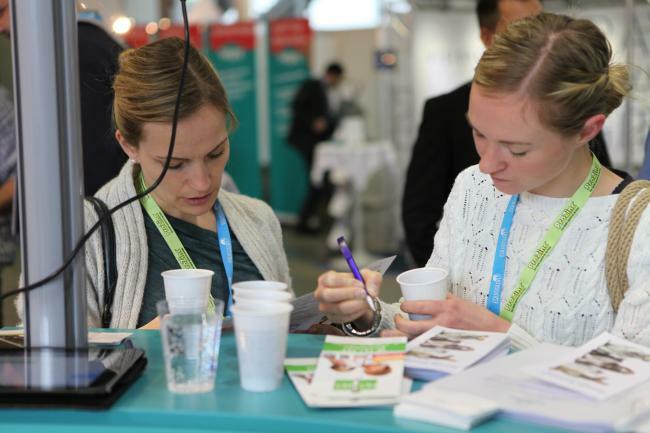 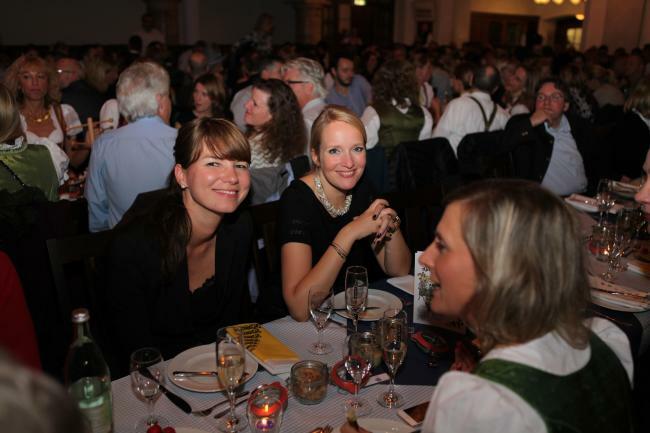 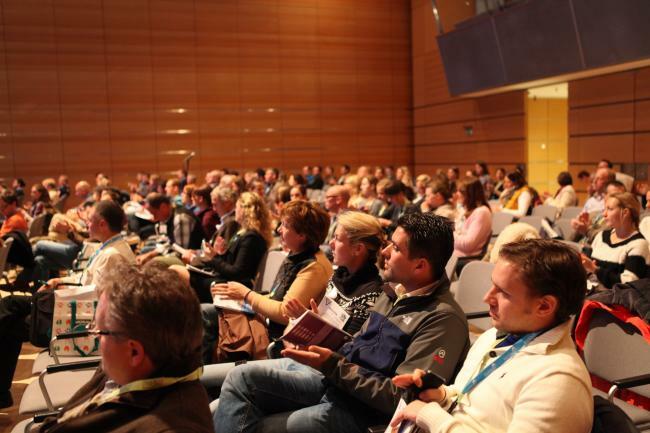 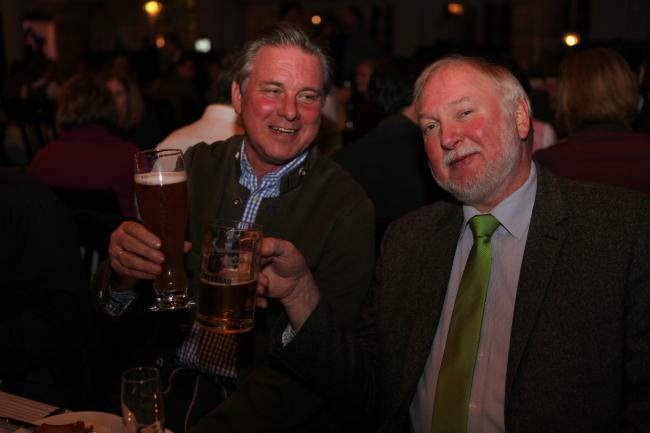 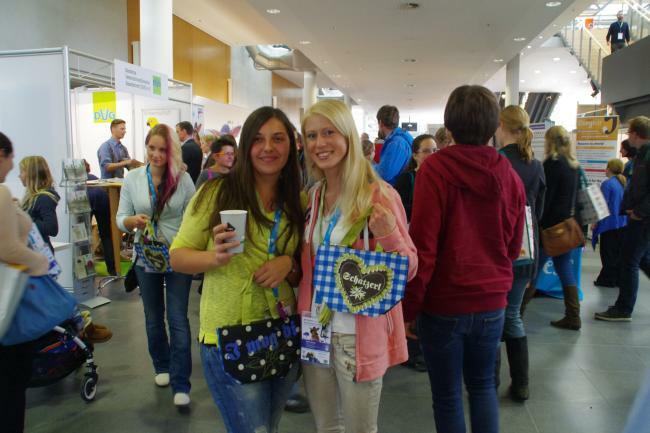 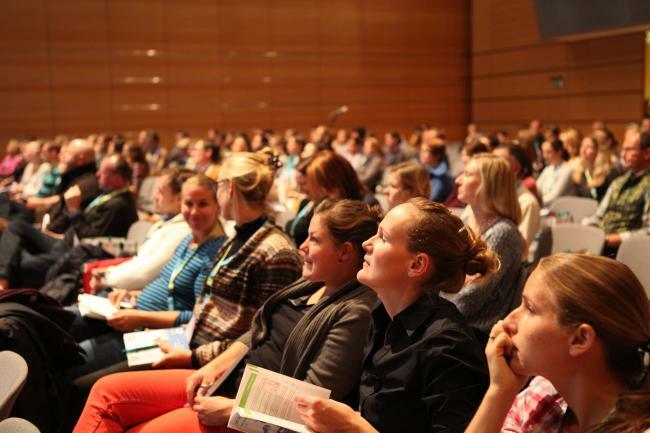 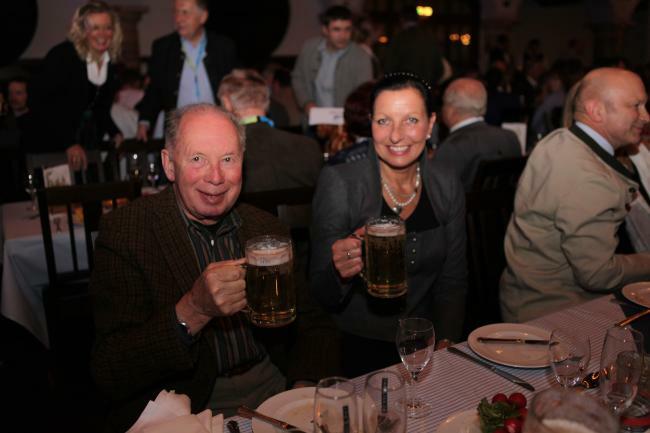 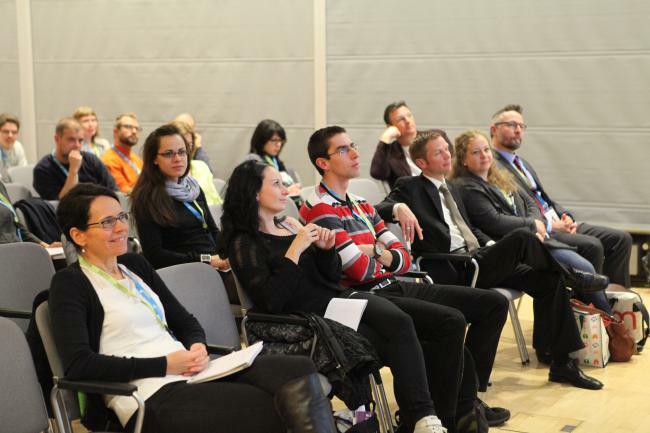 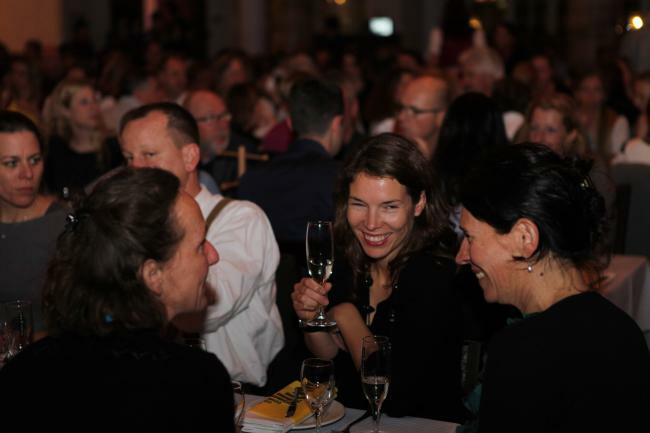 The team of the German Veterinary Medical Society (GVMS / DVG), enjoying the congress. 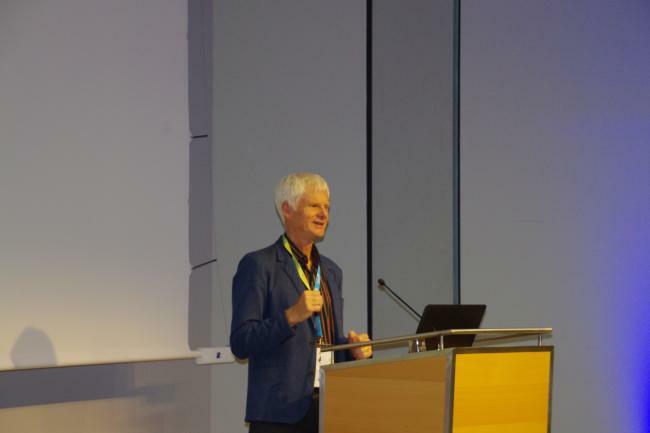 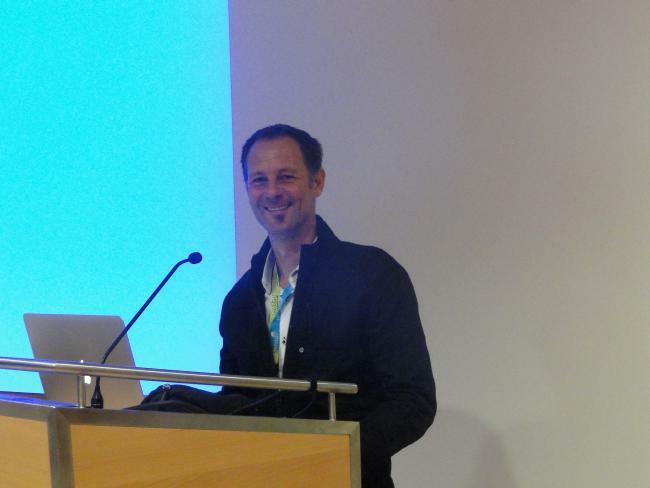 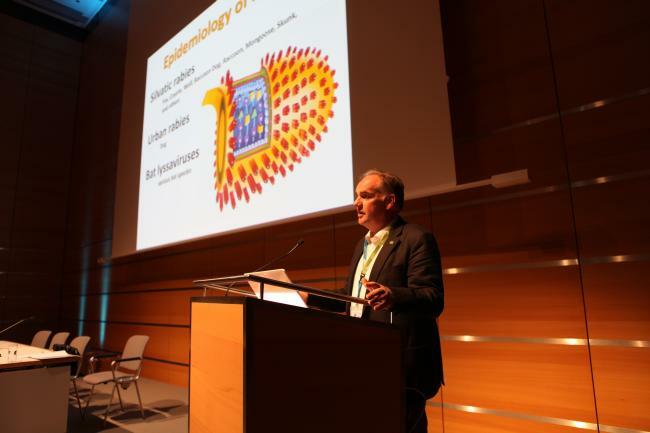 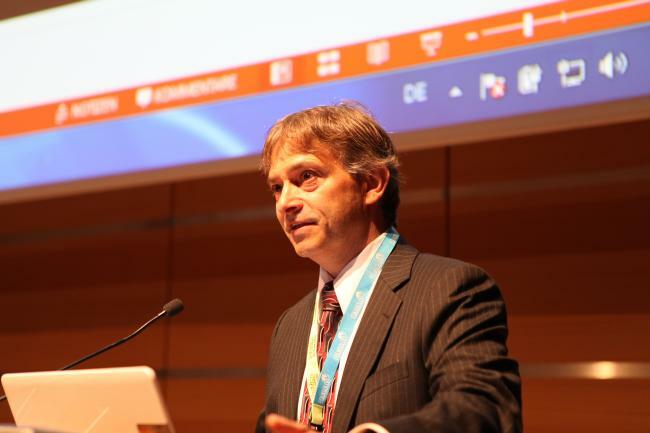 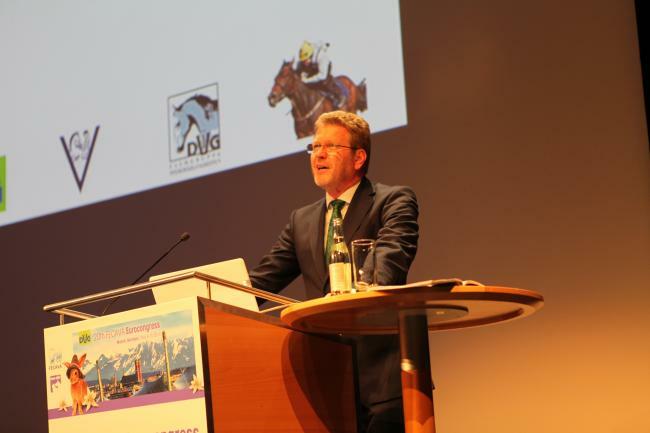 Prof. Dr. Karsten Feige, Scientific Chair of the Int. 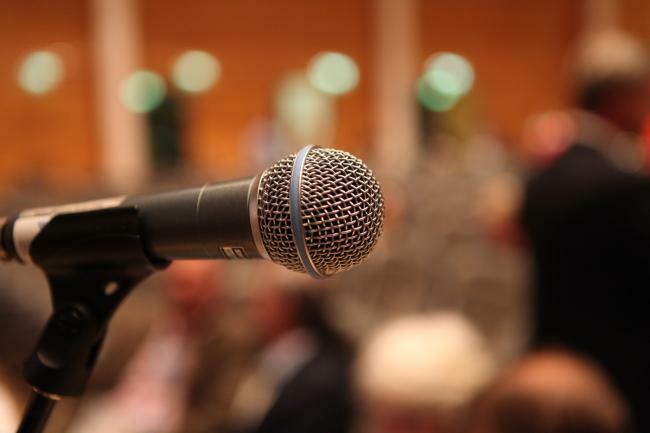 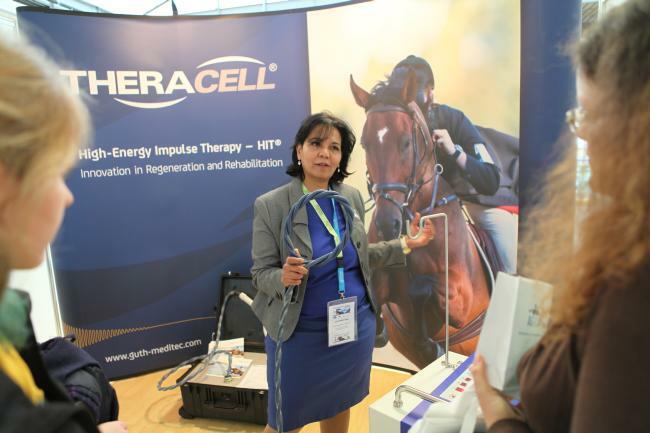 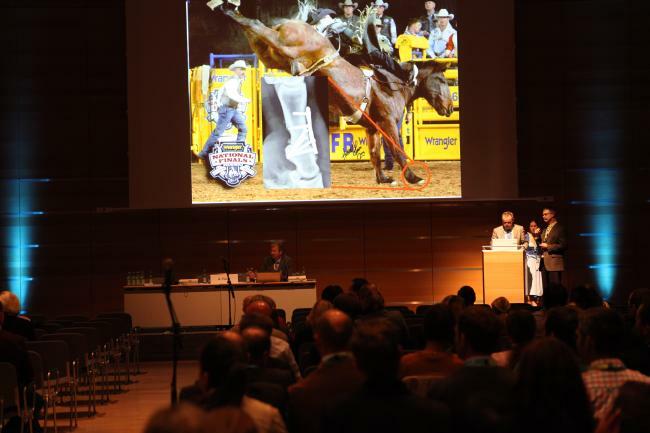 Congress on Equine Medicine. 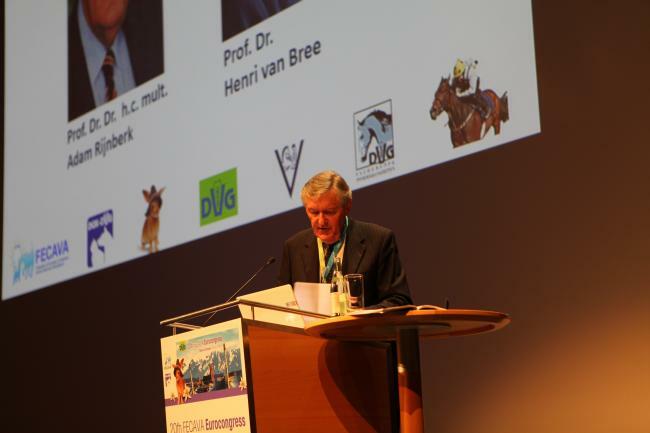 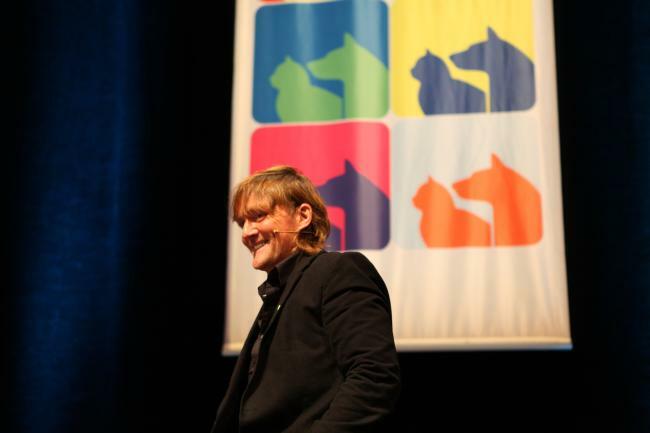 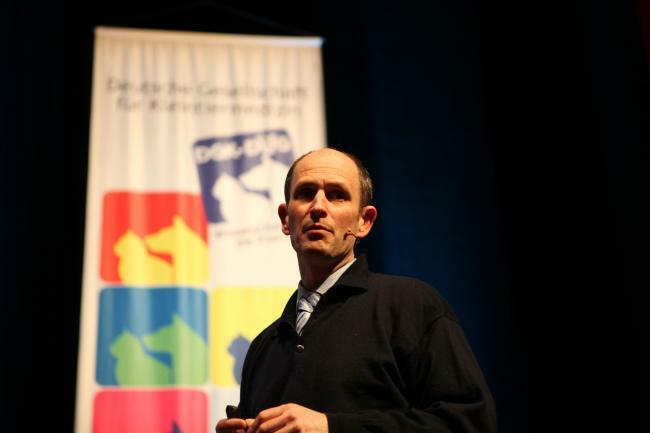 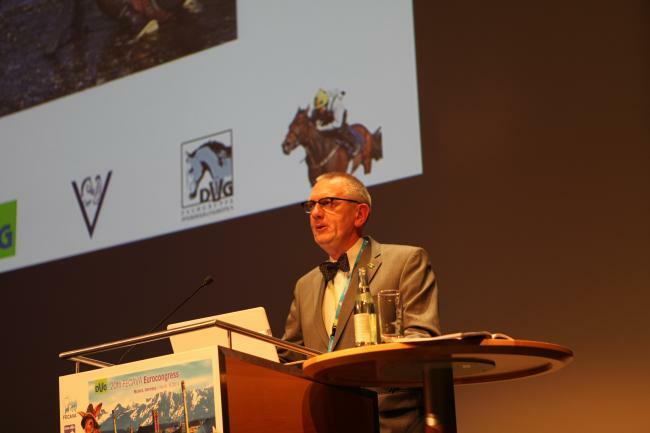 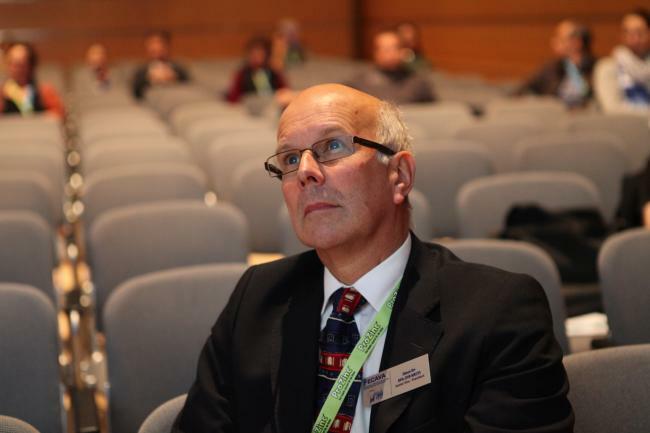 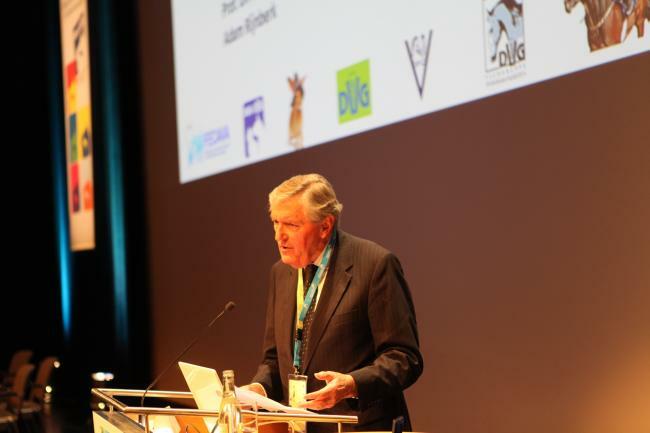 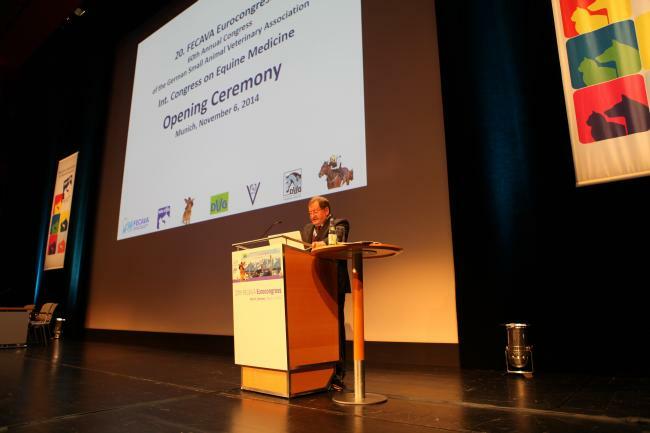 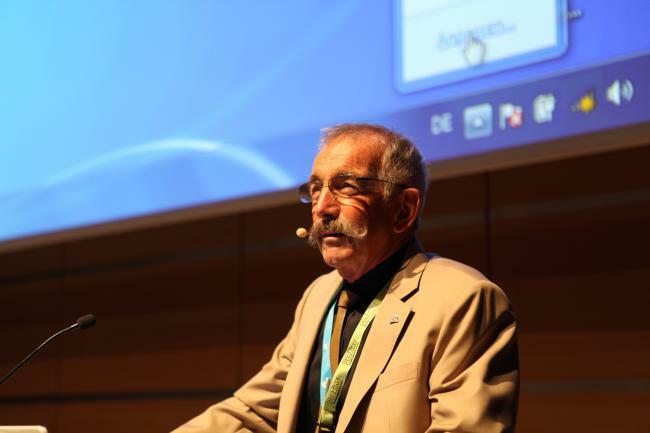 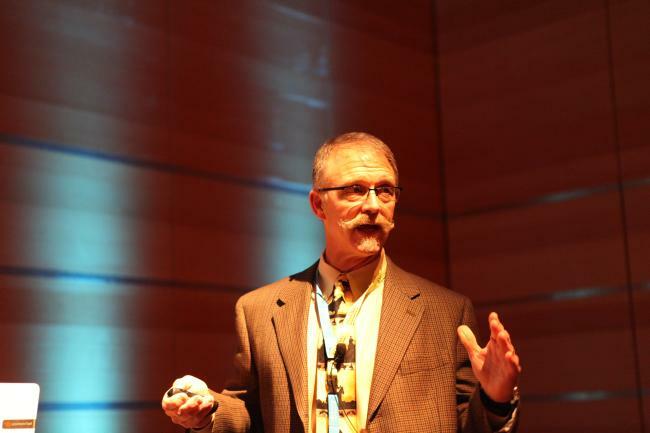 Dr. Eberhard Schüle, President of the German Equine Veterinary Association. 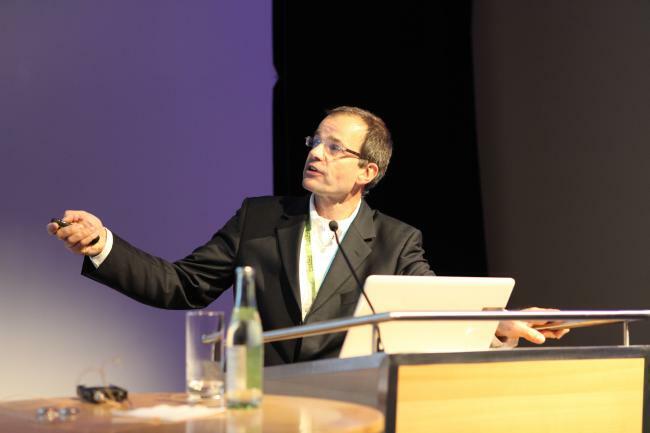 Prof. Dr. Michael Röcken, Scientific Chair of the Int. 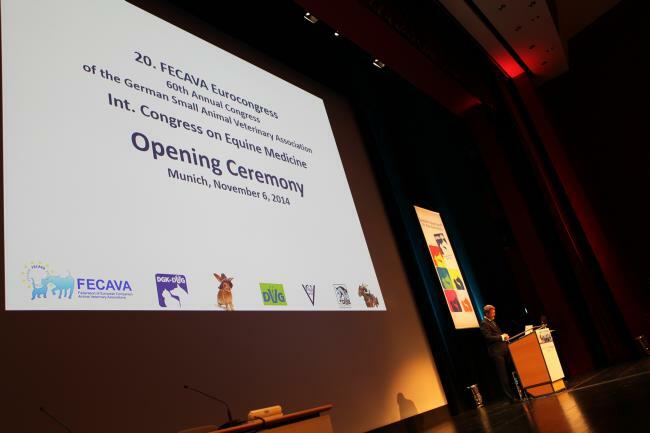 Congress on Equine Medicine. 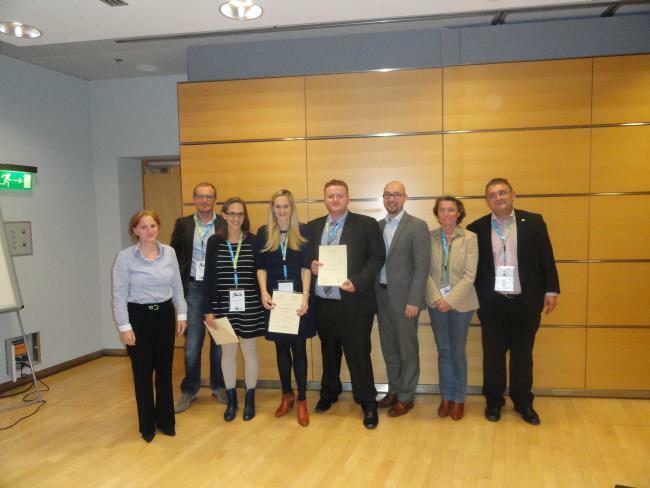 The winners of the best three oral and poster presentations of the Int. 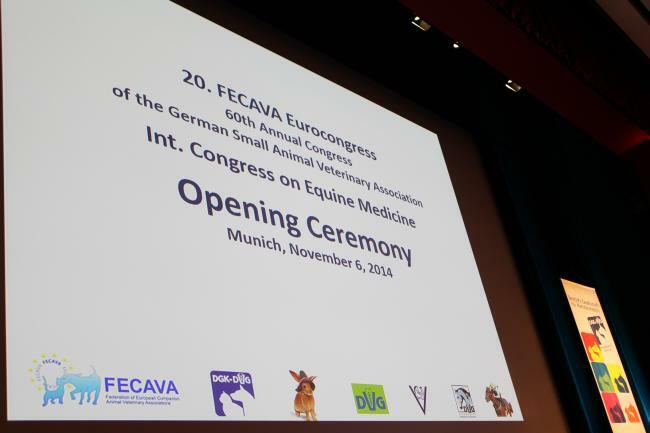 Congress on Equine Medicine. 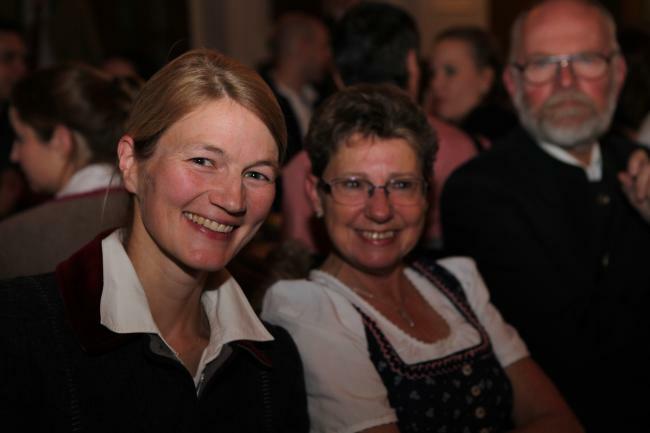 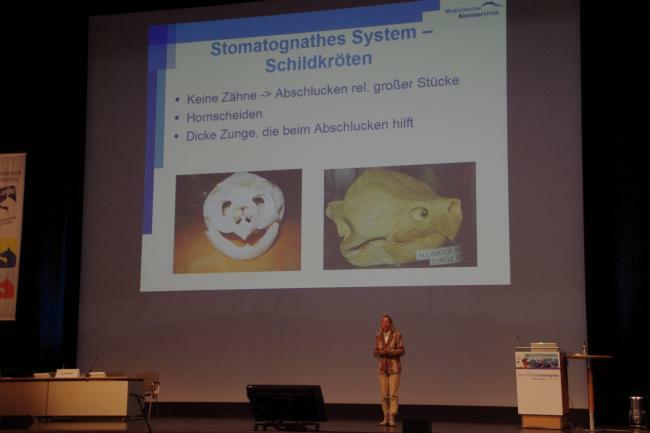 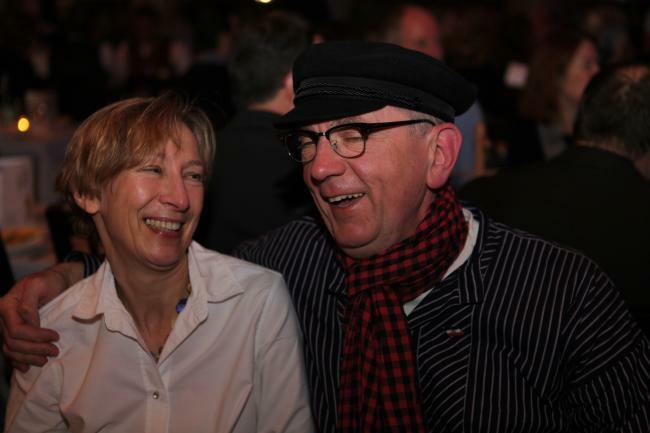 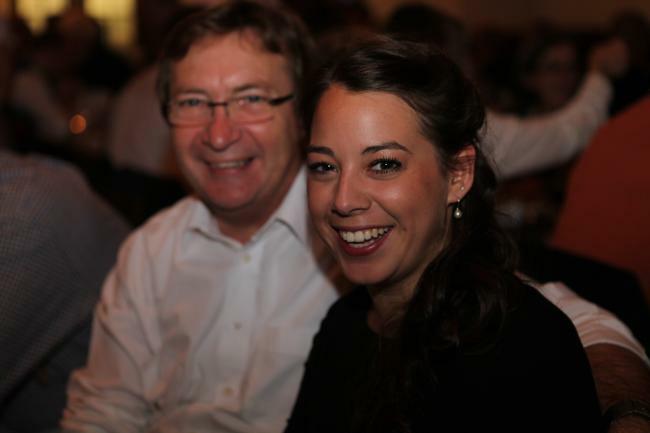 Dr. Susanne Alldinger, Prof. Dr. Karsten Feige. 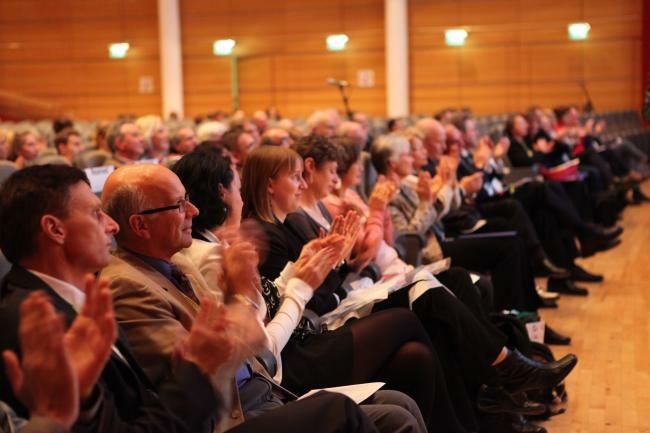 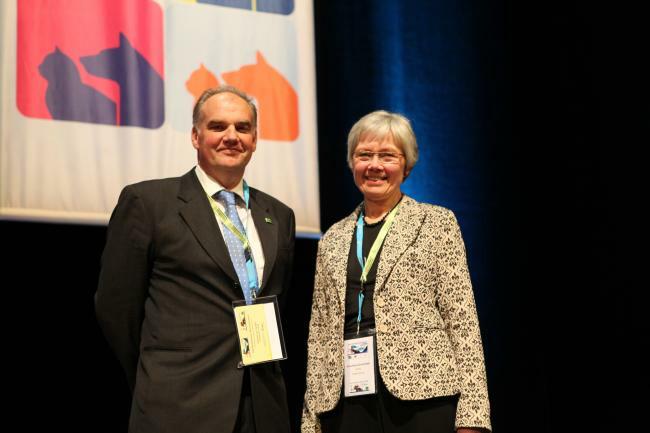 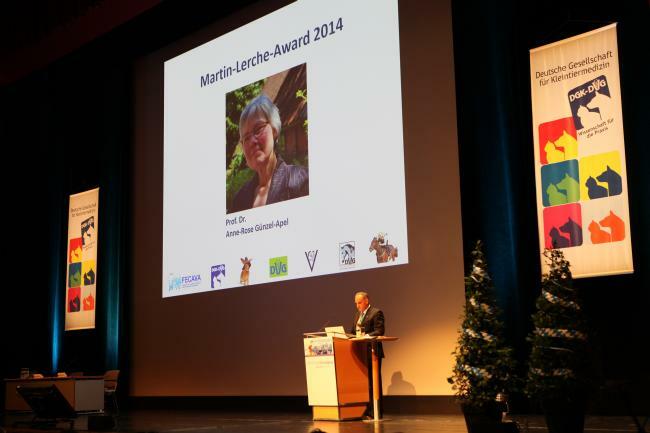 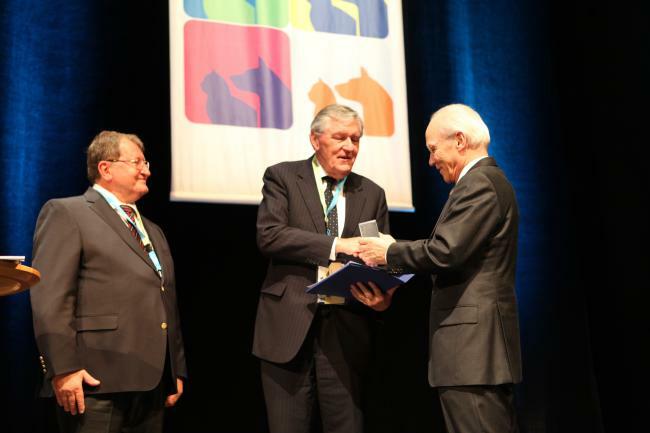 The laureates of the Richard-Völker-Medal of the German Small Animal Veterinary Association. 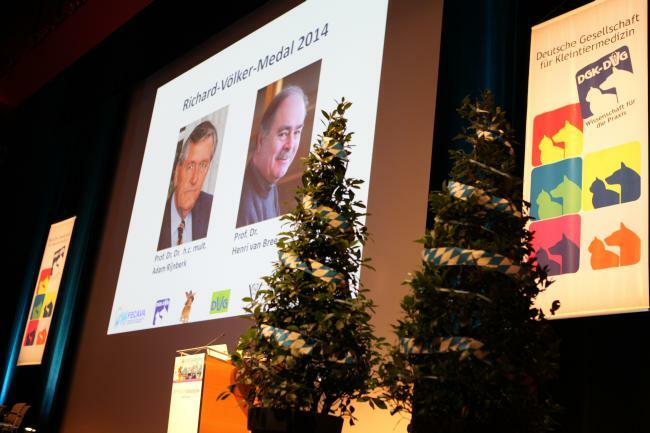 Prof. Dr. Henri van Bree (l), who also received the Richard-Völker-Medal. 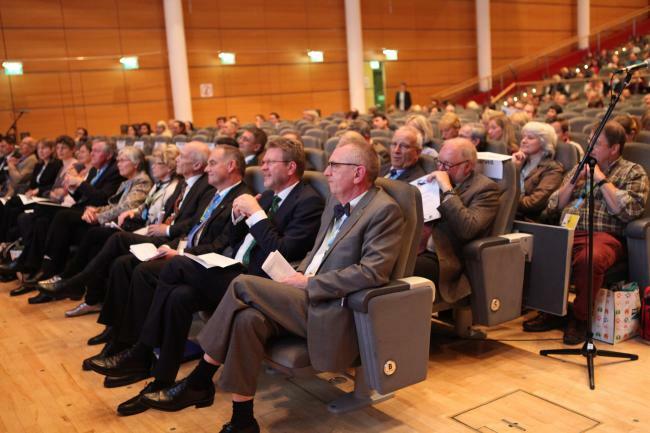 Prof. Dr. Henri van Bree, Prof. Dr. Dr. h.c. Martin Kramer, Dr. Friedrich Röcken, Prof. Dr. Roberto Köstlin. 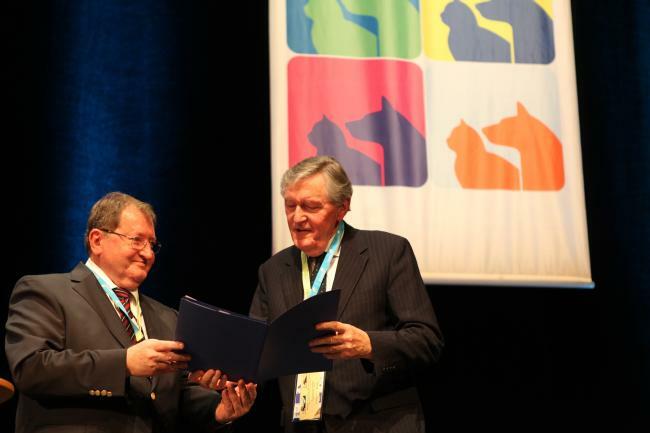 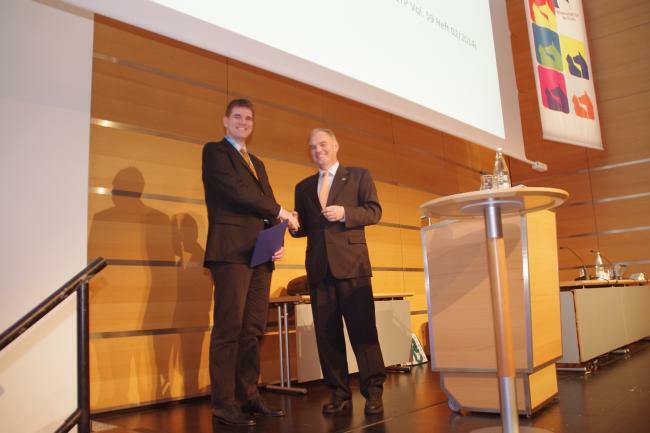 Prof. Dr. Benedikt Kaufer (l) received the Award for Young Scientists of the German Veterinary Medical Society from Prof. Dr. Uwe Truyen (r). 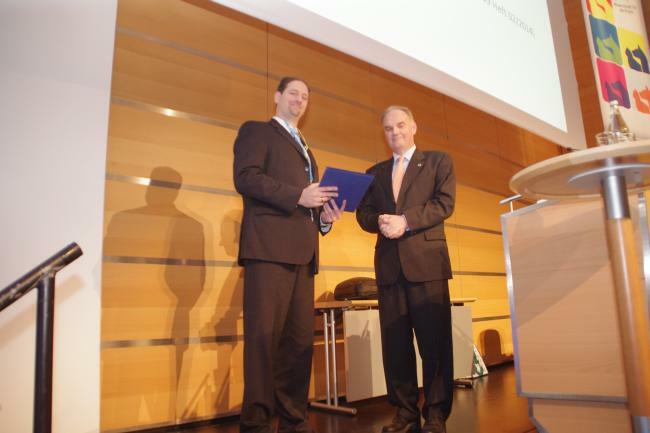 PD Dr. Rüdiger Hauck (l) received the Karl-Fritzsche-Award for his research on infectious diseases of poultry from Prof. Dr. Uwe Truyen (r). 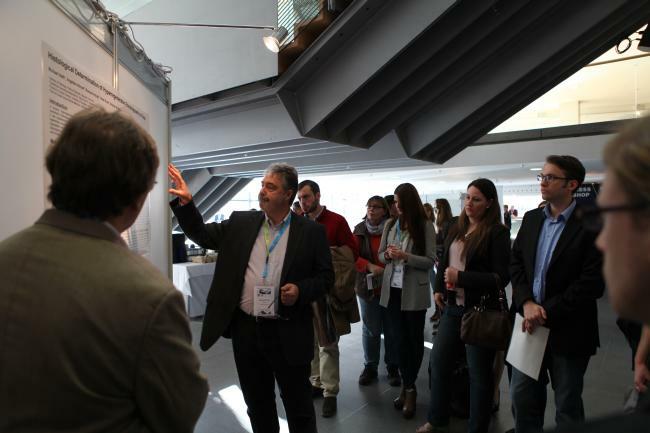 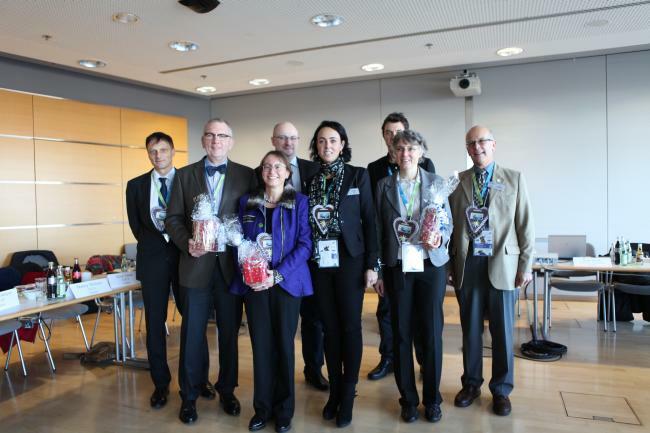 The Future Board of the GSAVA selecting the best posters and oral presentations. 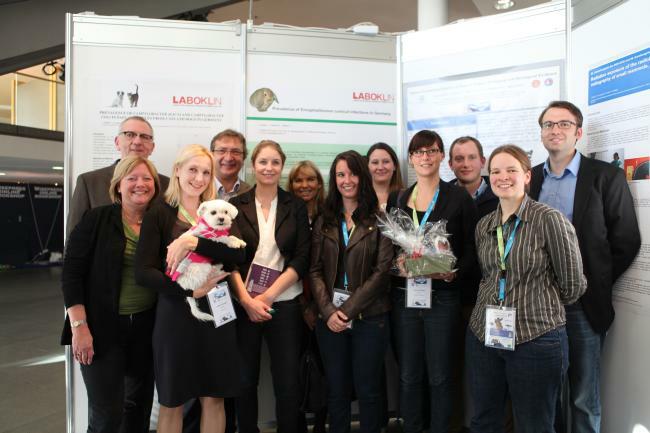 The winners of the poster awards and the Laboklin award, the Future Board and the Senior Board of the GSAVA. 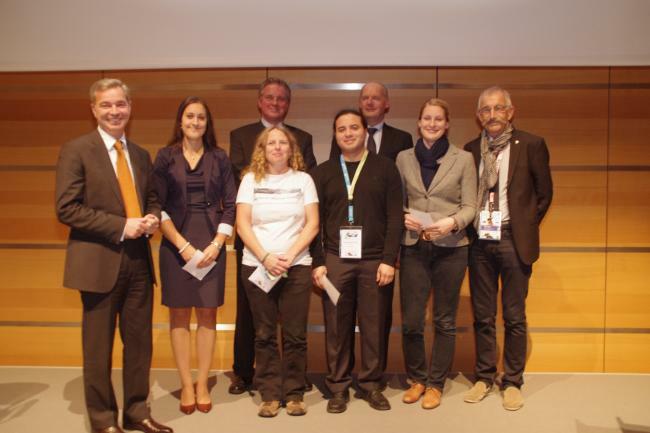 The winners of the awards for the best presentations of the session "Free communications" and the winner of the Laboklin award. 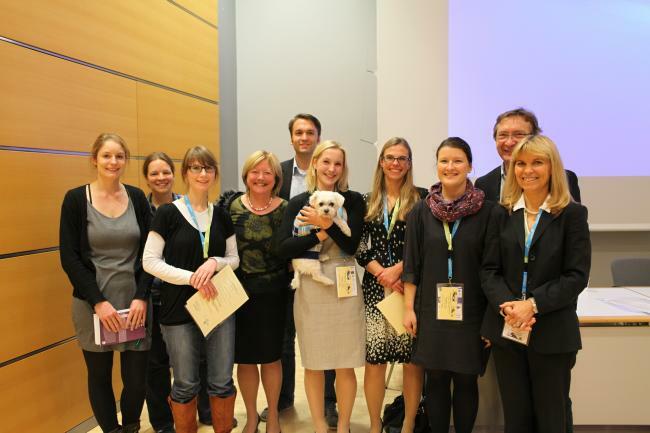 The winners of the best presentations of the 6th Annual Meeting of the Specialist sub-division Veterinary Surgery. 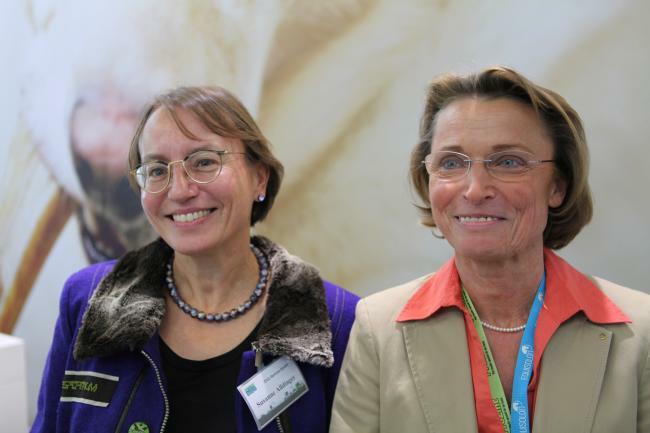 Dr. Susanne Alldinger and Dr. Barbara Schöning. 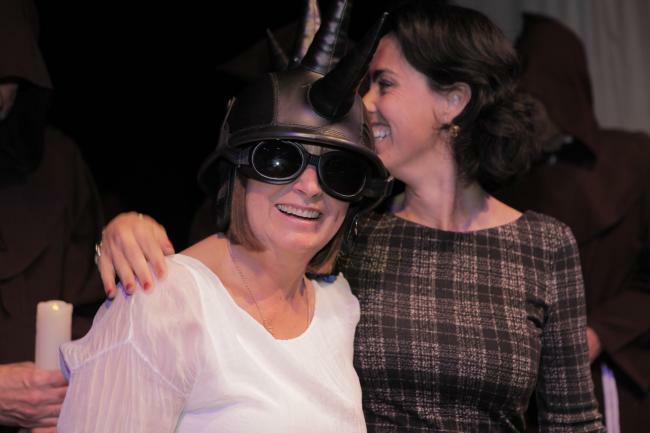 Marion Selig and Dr. Diane Hebeler. 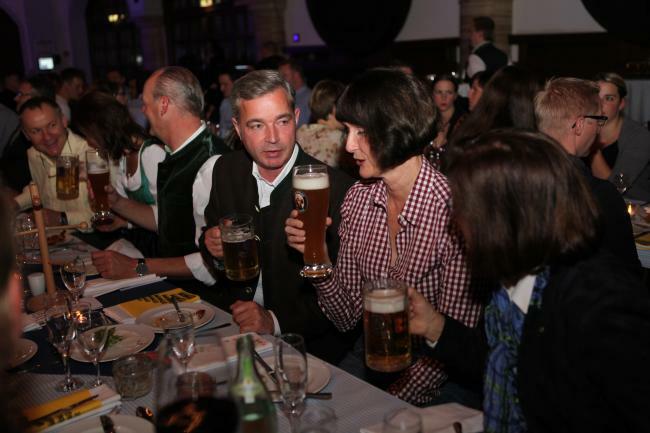 Conference Party in the "Löwenbräukeller". 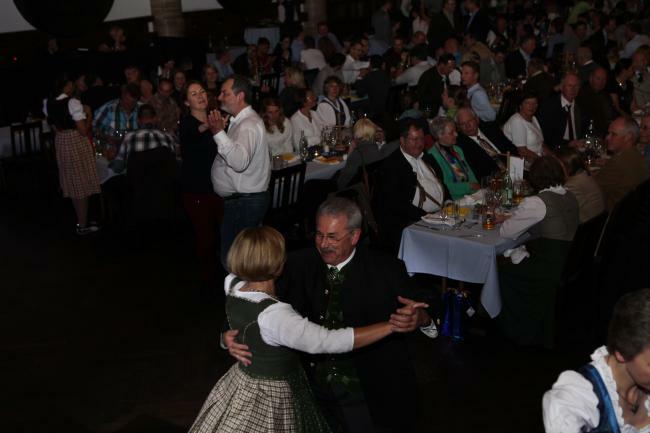 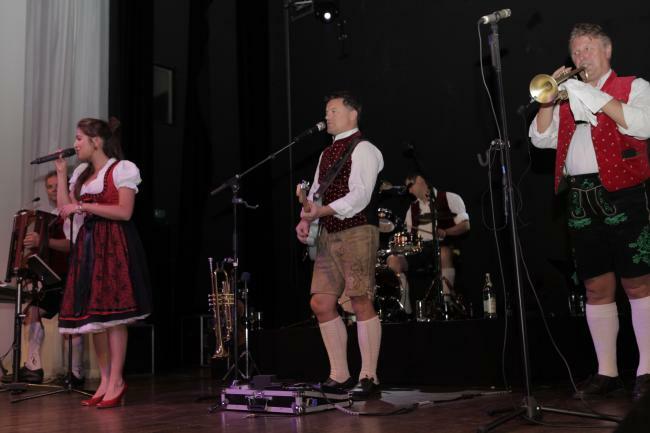 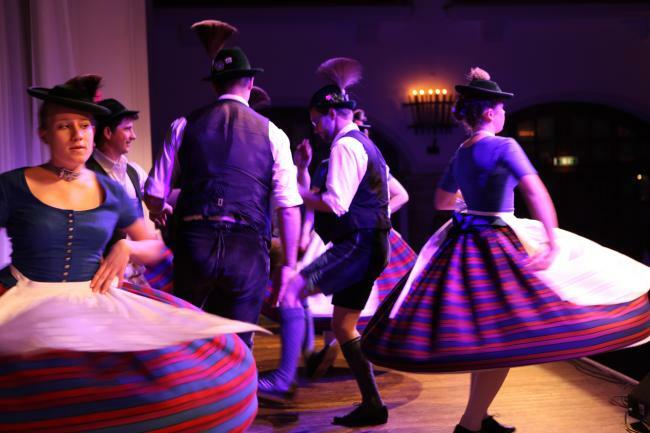 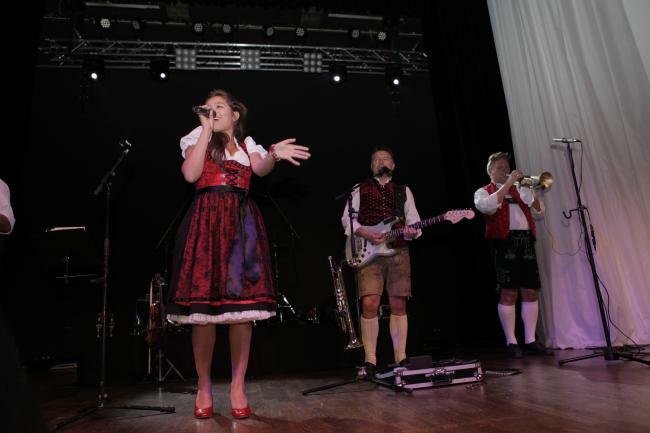 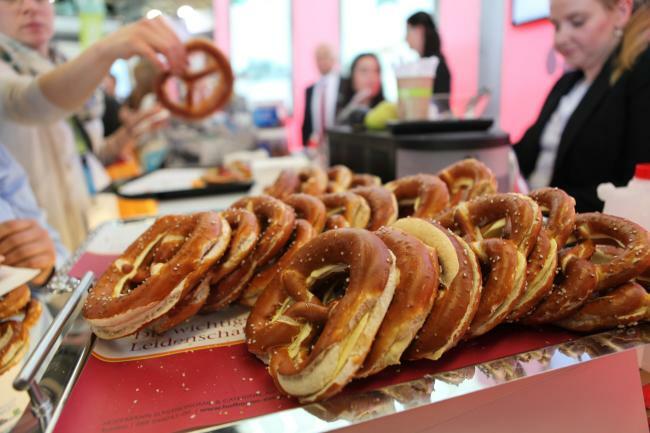 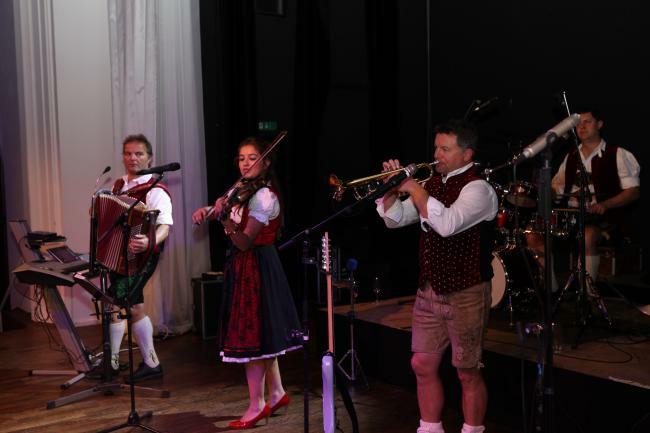 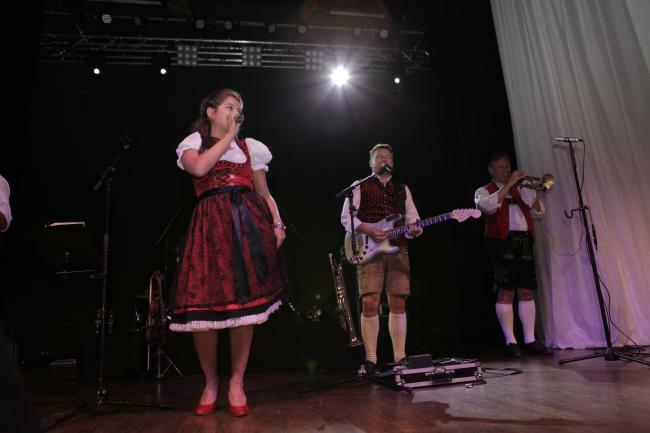 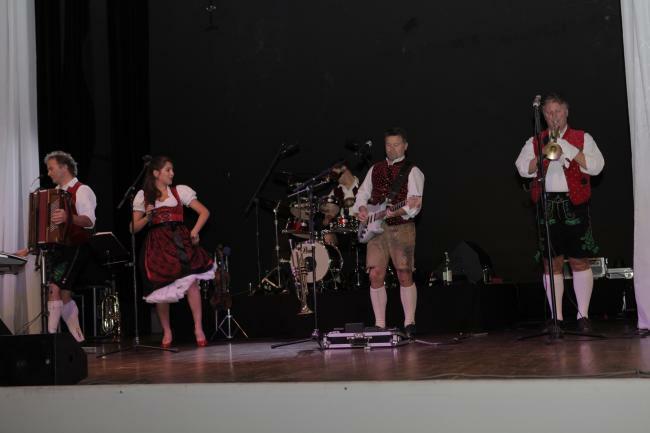 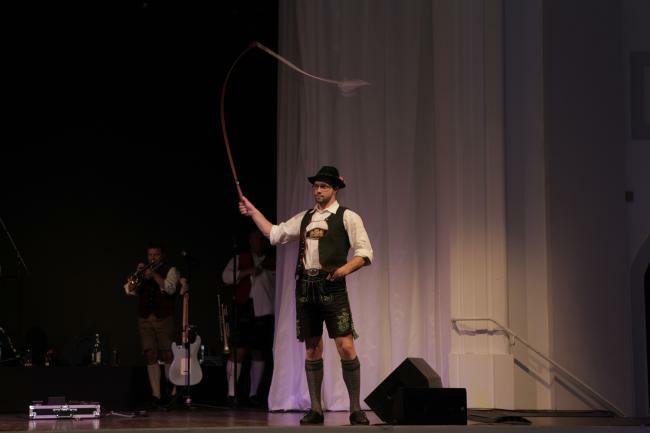 The Bavarian live band "Isar Briada". 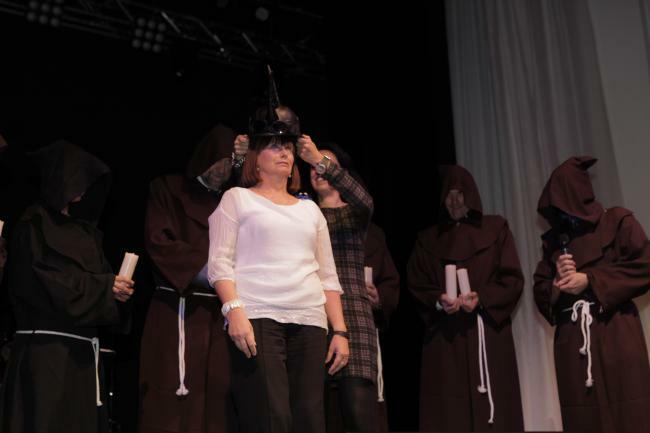 Tiina Toomet from Estonia, the latest recipient of the "Athenian Helmet" of FECAVA. 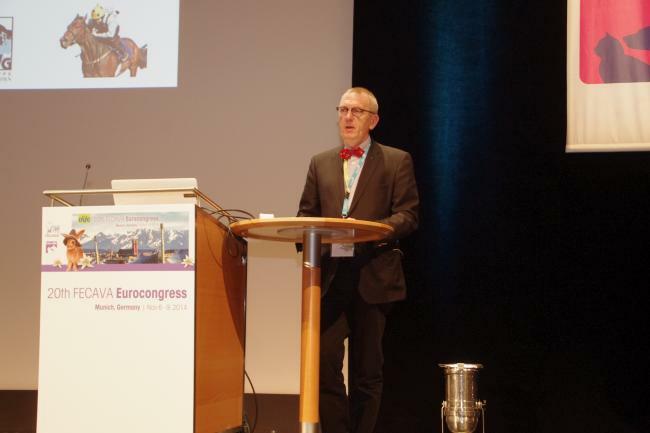 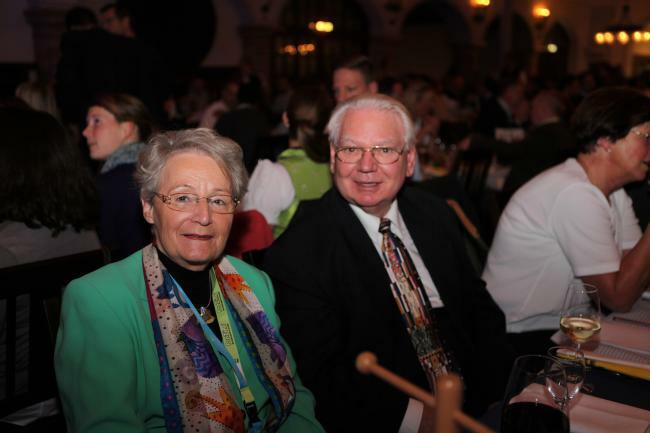 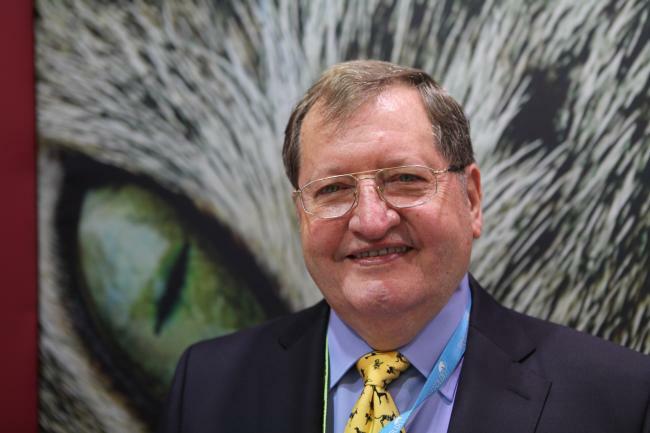 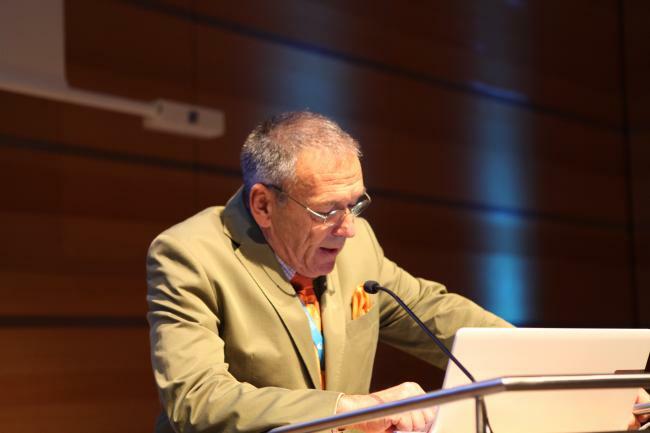 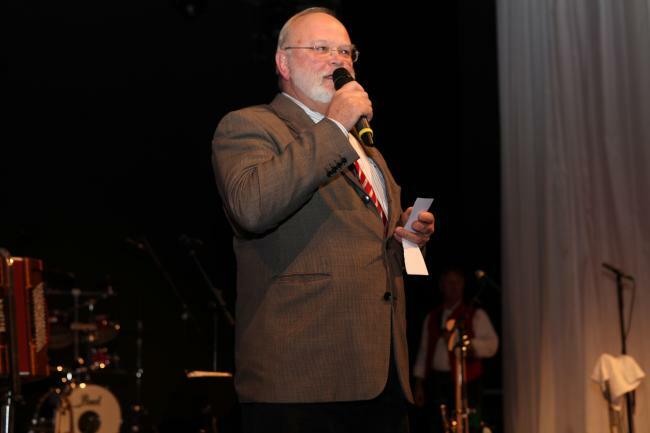 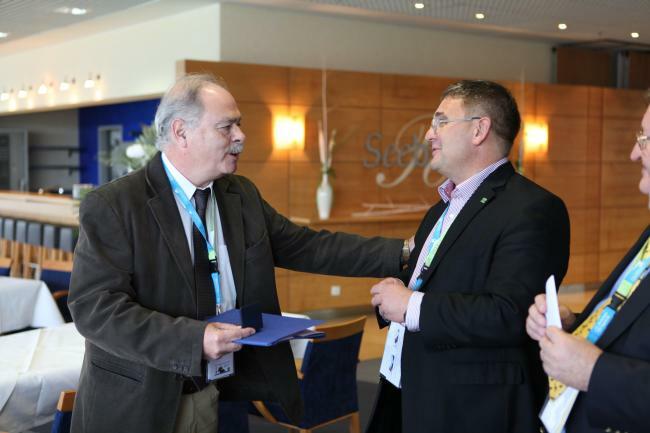 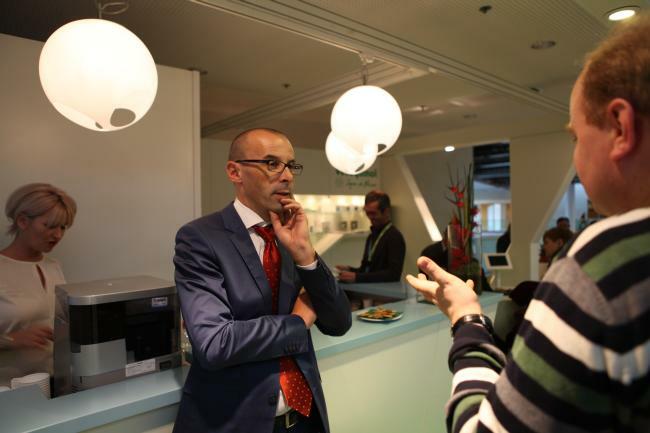 Dr. Peter Fahrenkrug says good bye as German representative within FECAVA. 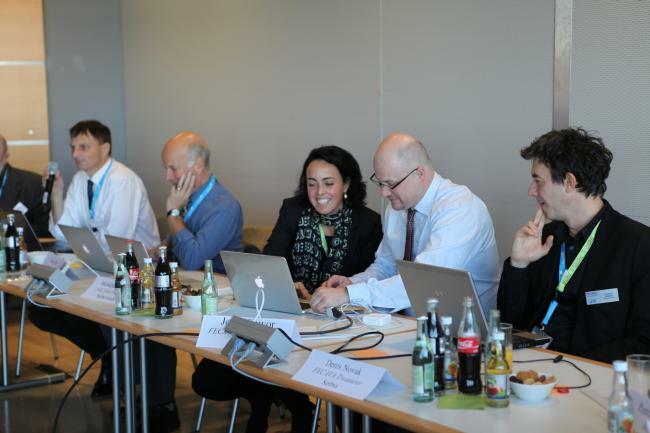 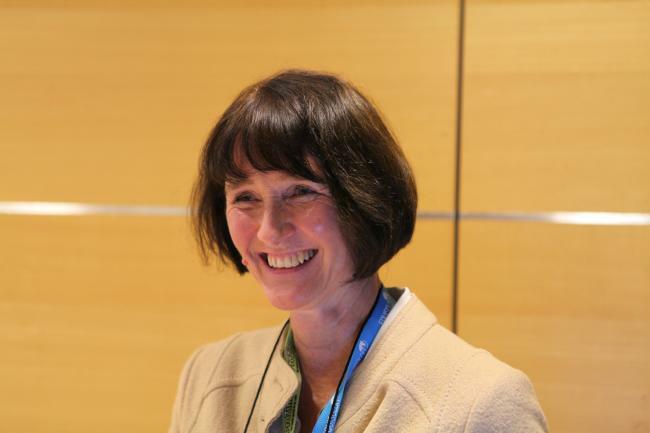 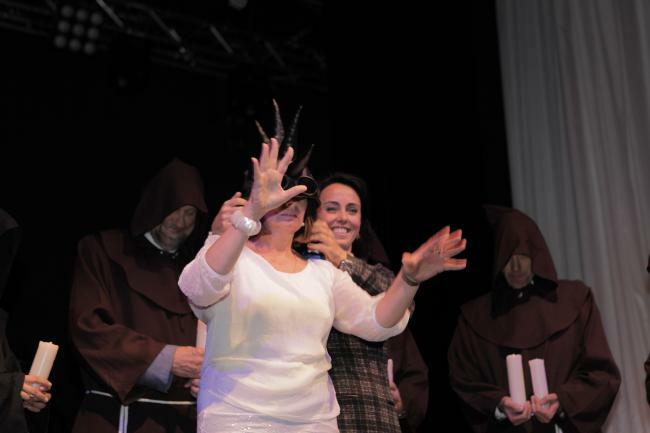 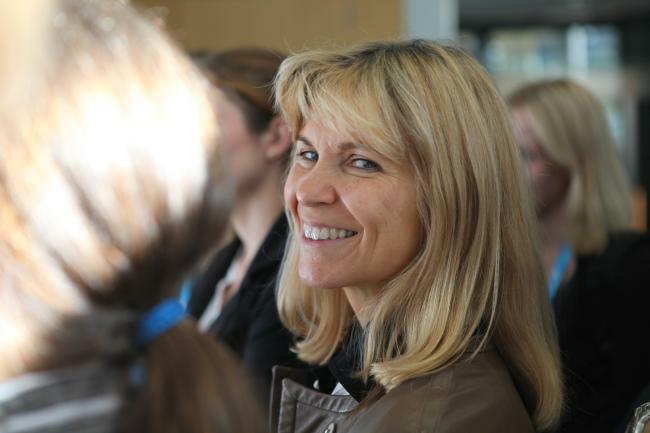 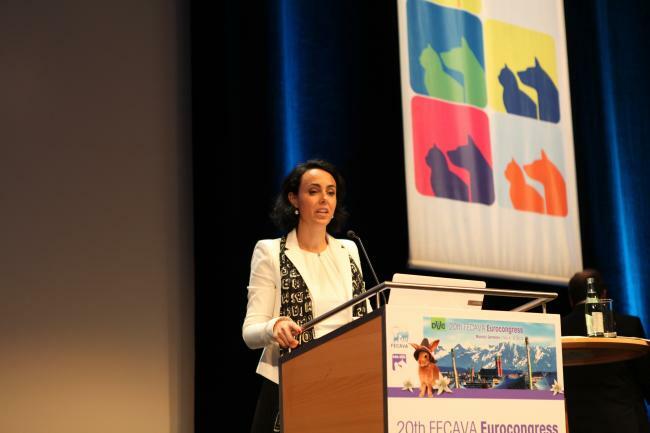 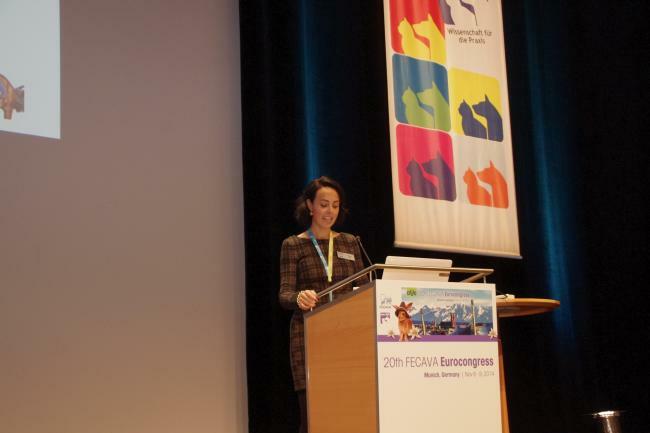 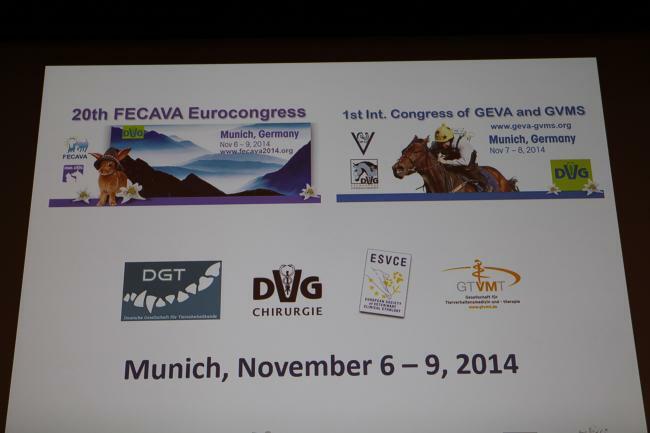 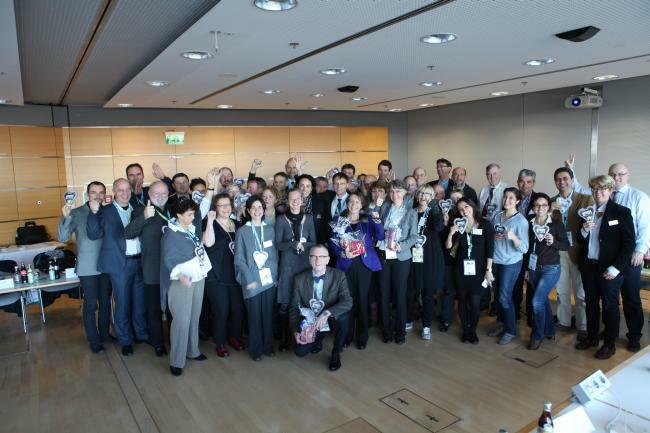 Dr. Susanne Alldinger is happy about the FECAVA council meeting on the occasion of the 20th FECAVA Eurocongress. 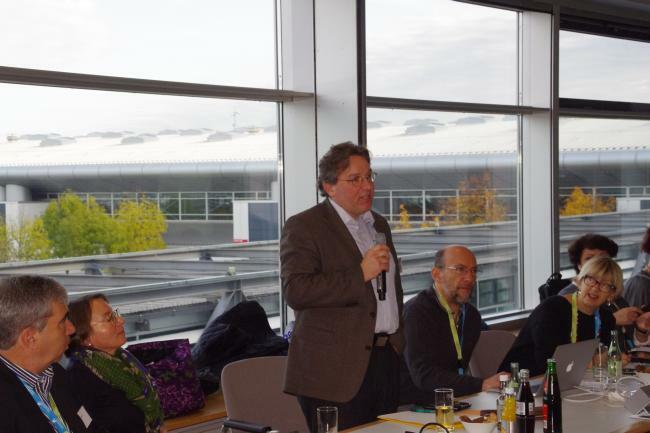 Prof. Dr. Stephan Neumann introduces himself as new German representative. 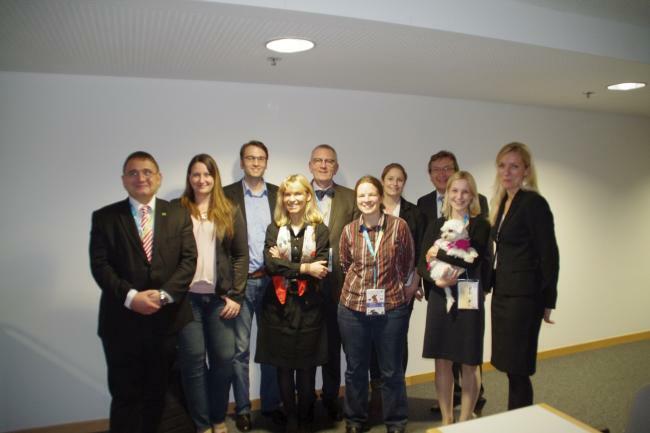 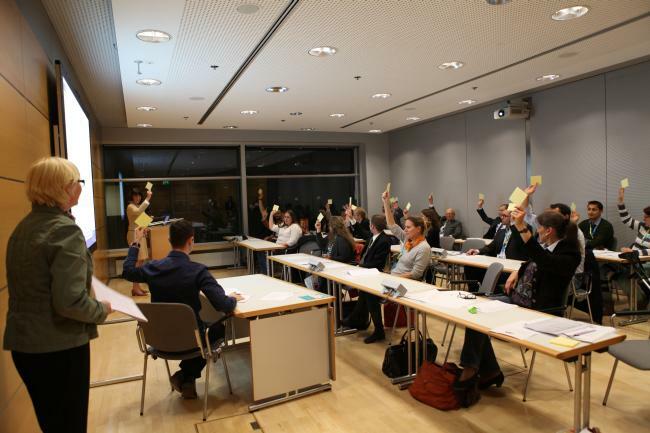 The FECAVA board and the organizing team of the German Veterinary Medical Society. 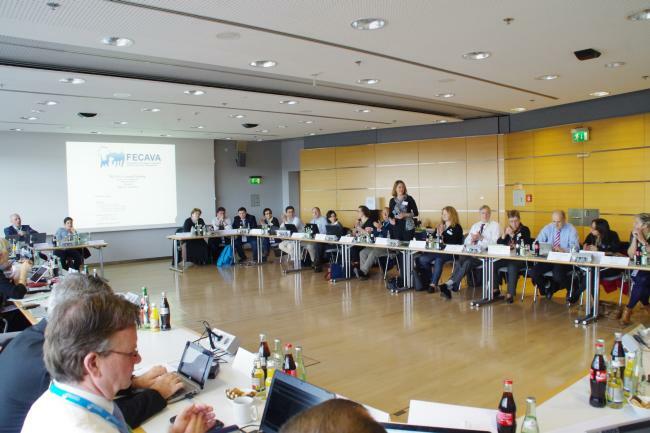 The participants of the FECAVA council meeting. 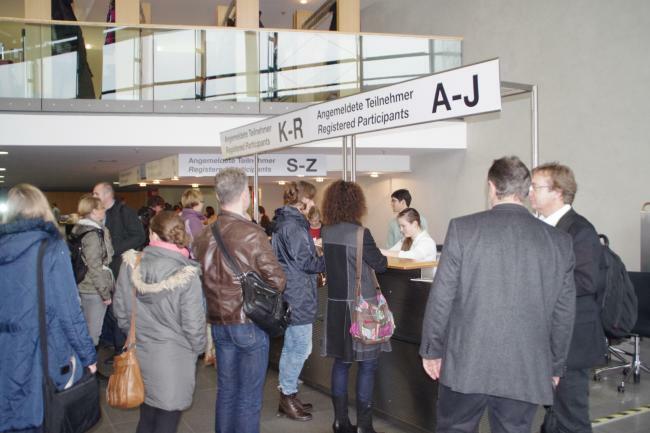 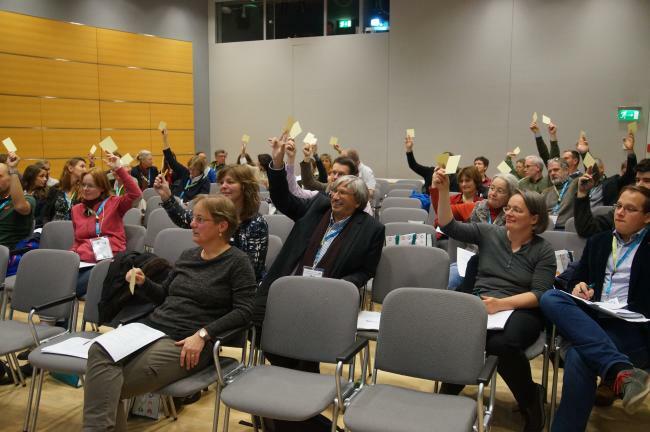 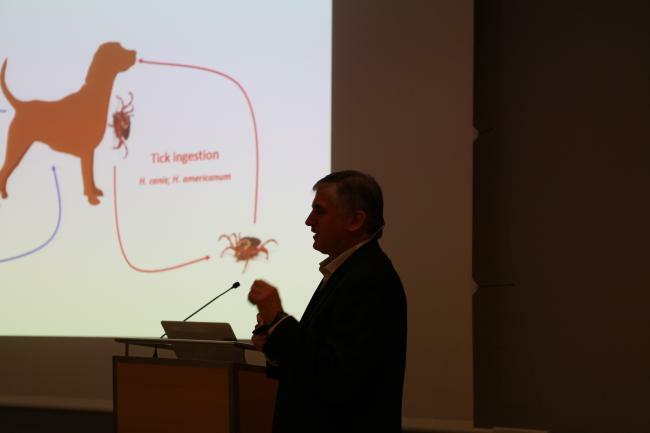 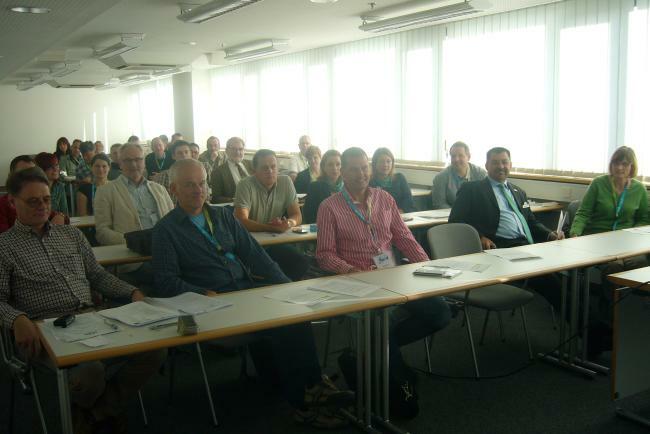 Foundation of the new Specialist sub-division on bee diseases in the German Veterinary Medical Society. 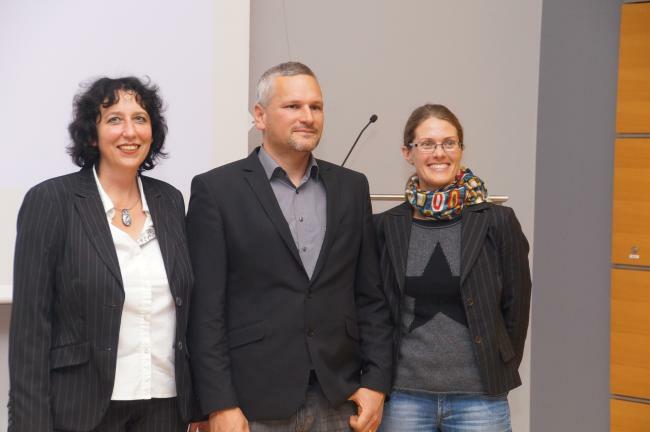 The board of the Specialist sub-division on bee diseases: PD Dr. Heike Aupperle, Dr. Karsten Stief and Dr. Céline Finke. 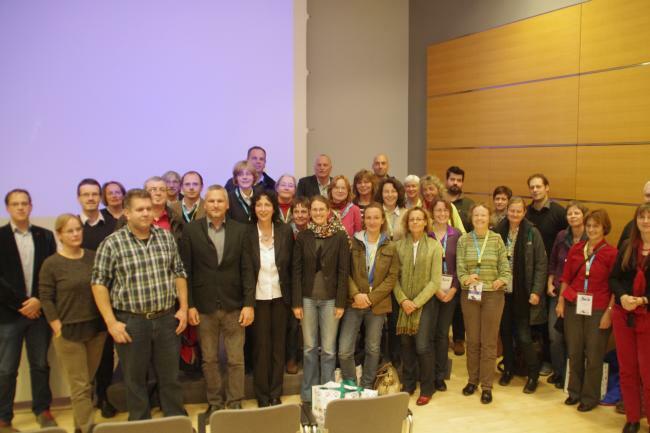 The members of the Specialist sub-division on bee diseases. 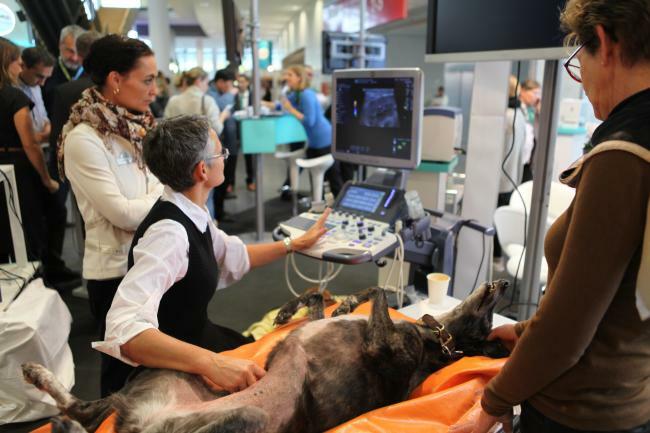 Foundation of the new Specialist sub-division on anaesthesia, intensive care and analgesic therapy. 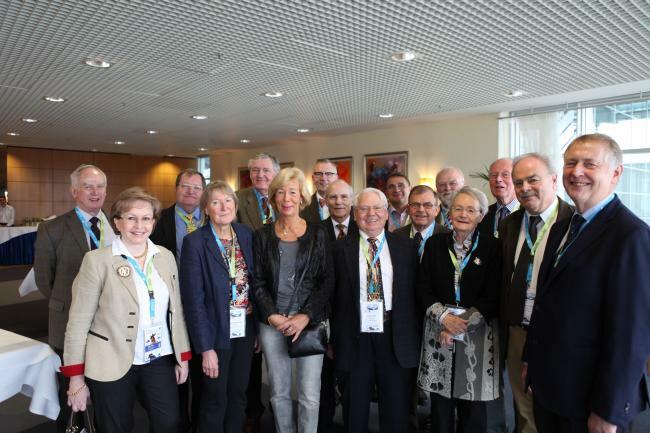 The board of the Specialist sub-division on anaesthesia, intensive care and analgesic therapy. 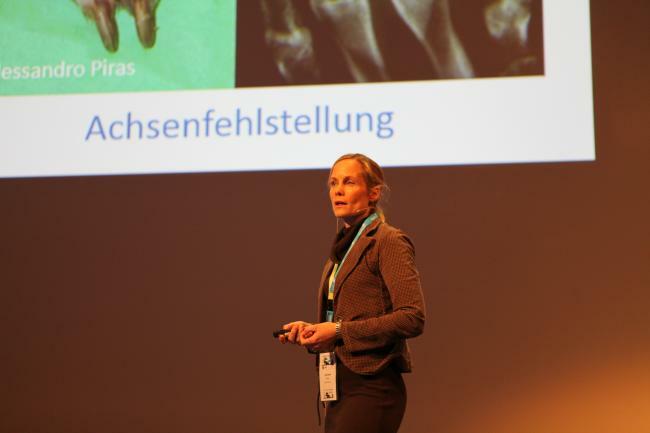 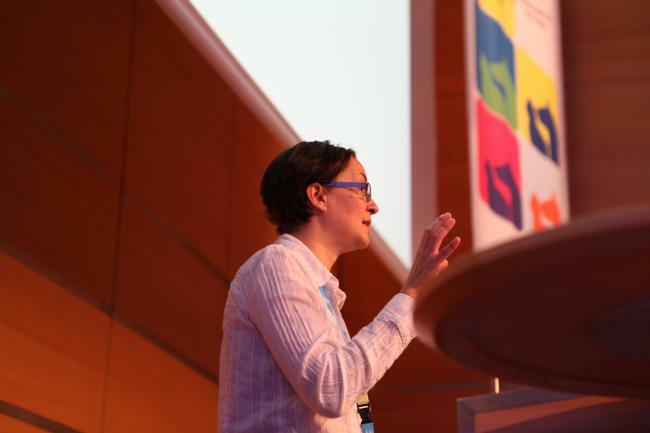 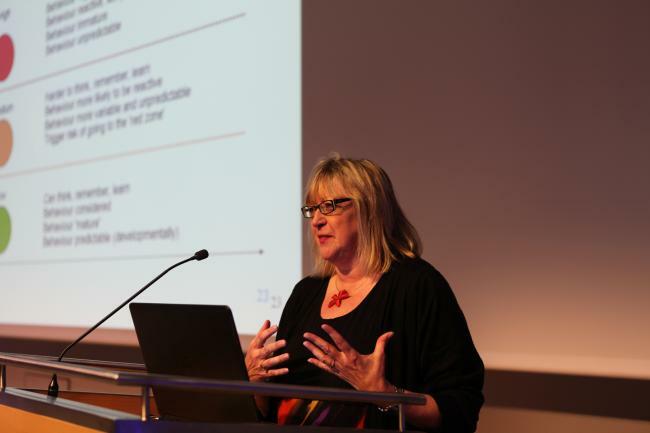 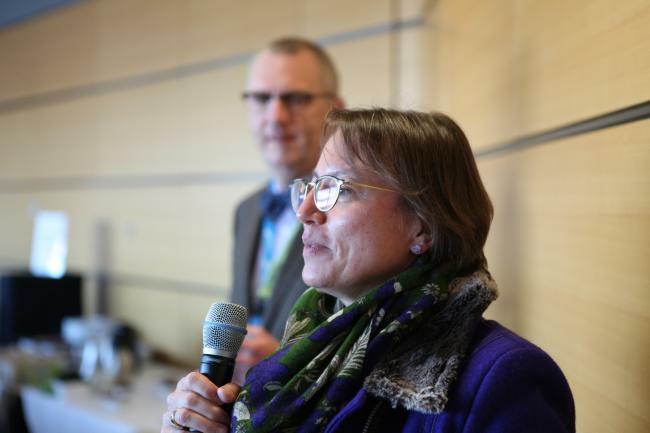 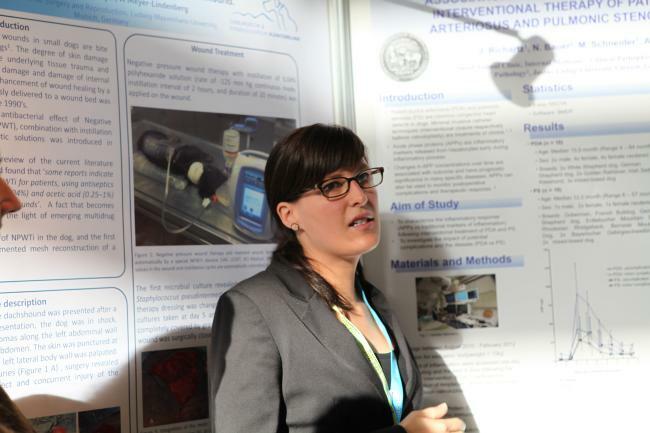 Prof. Dr. Sabine Kästner, chair of the Specialist sub-division on anaesthesia, intensive care and analgesic therapy. 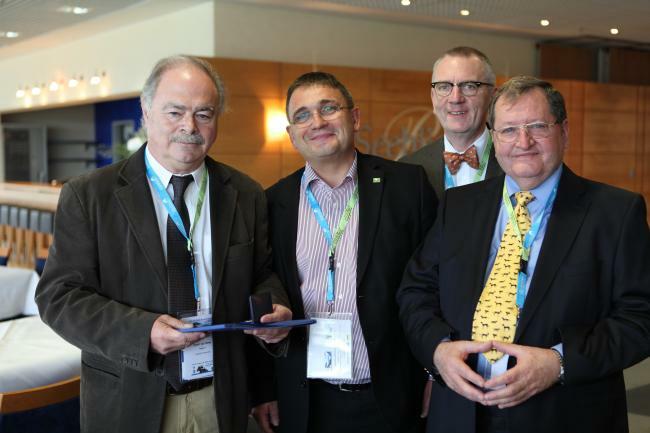 Members of the new founded working group on laser medicine. 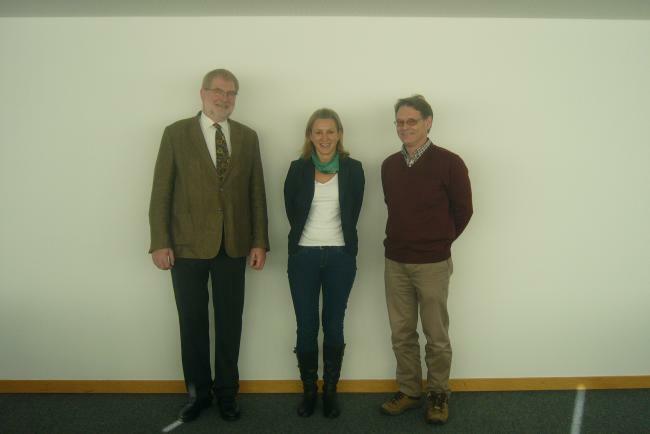 The board of the working group on laser medicien: Prof. Dr. Gerhard Oechtering, Dr. Eva-Maria Schmölzer, Dr. Gerhard Staudacher. 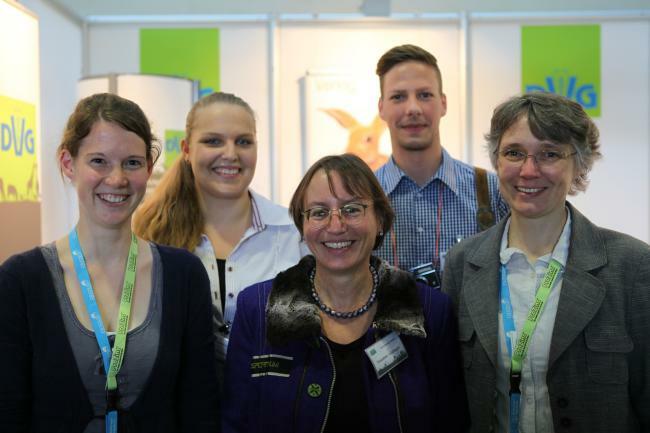 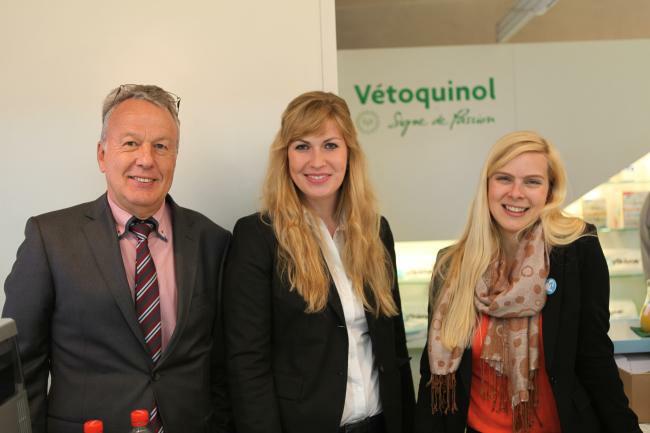 The Future Board of the German Small Animal Veterinary Association and their sponsors. 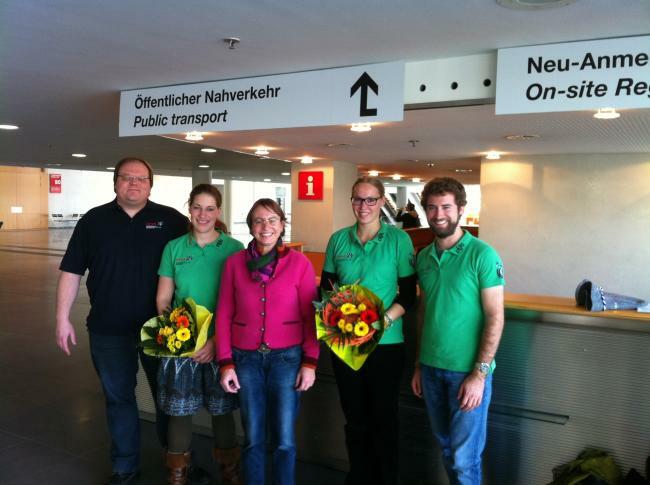 The representatives of the student's organisation (bvvd) and Dr. Susanne Alldinger. 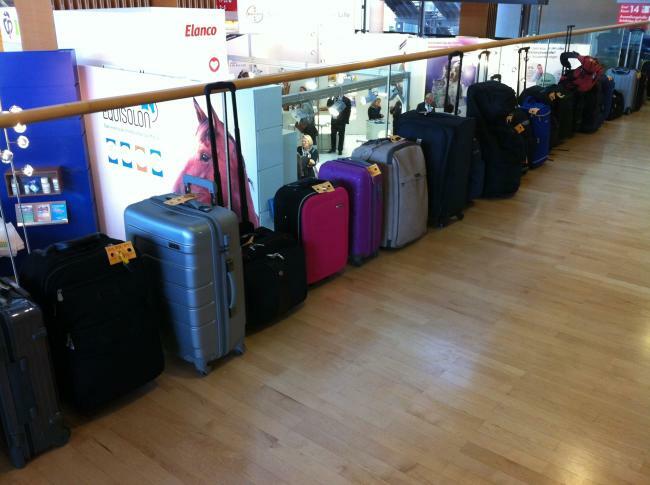 The congress is ending soon - the suitcases are already packed. 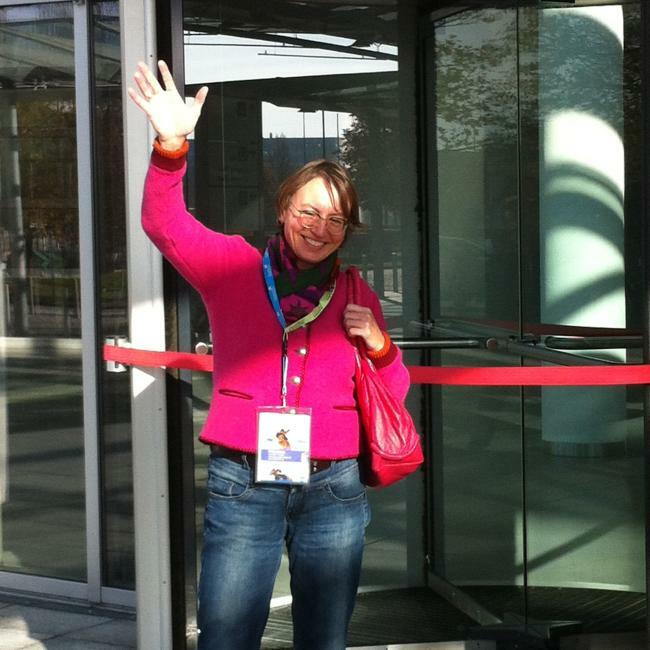 ... and Dr. Monique Megens thank the participants and say goodbye. 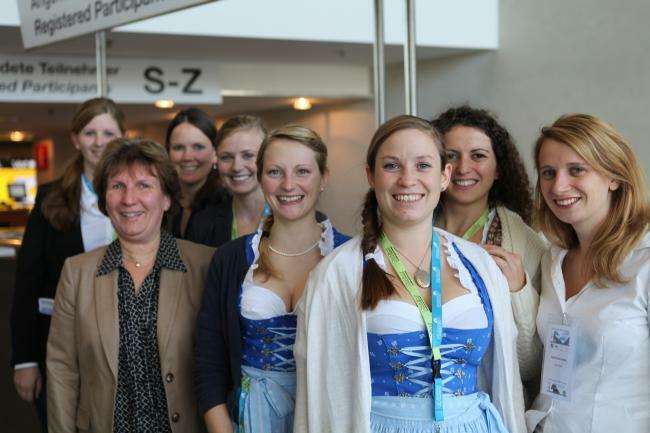 ... and the team of CSM, the organising partner of the German Veterinary Medical Society, are happy about the wonderful congress! 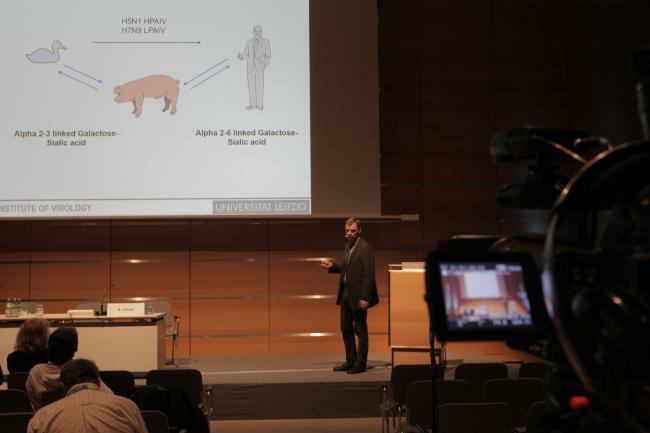 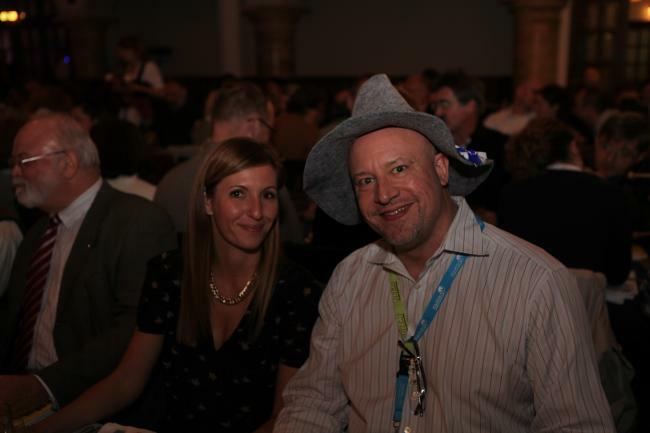 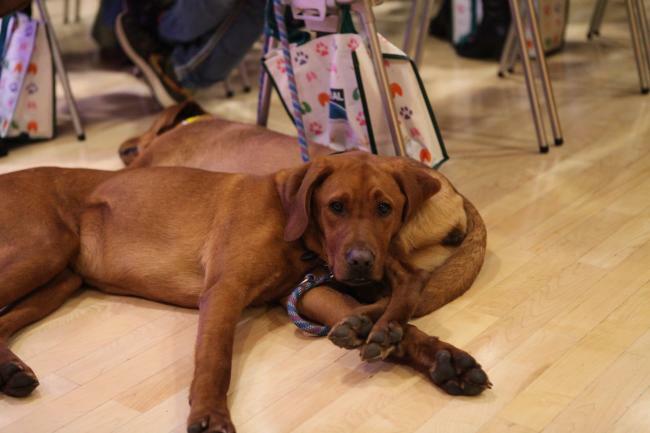 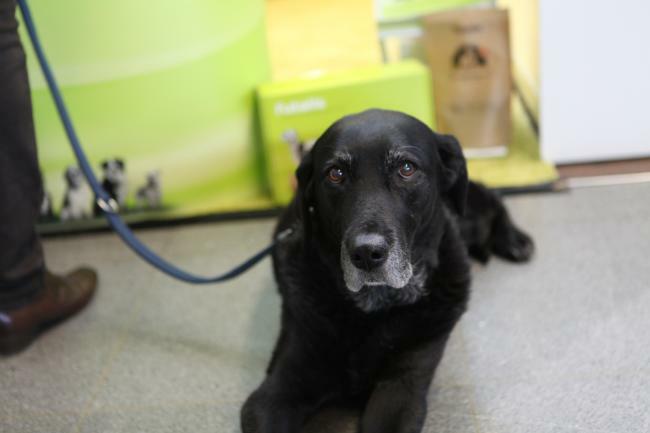 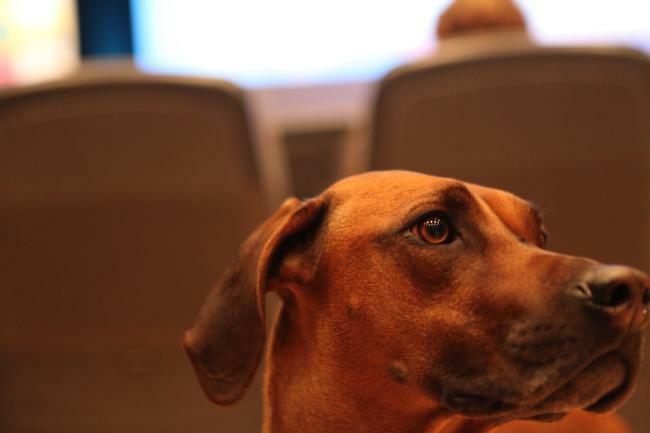 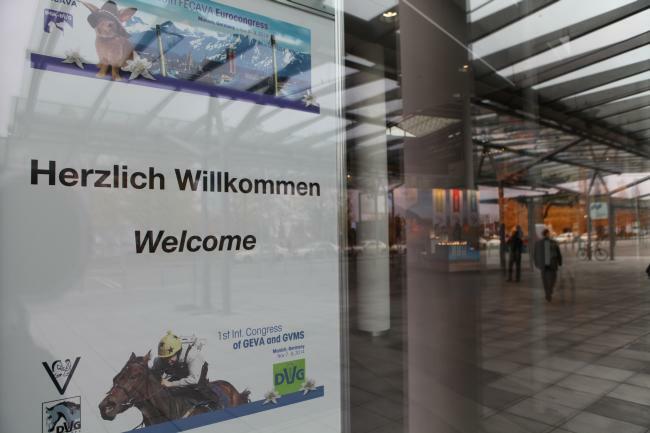 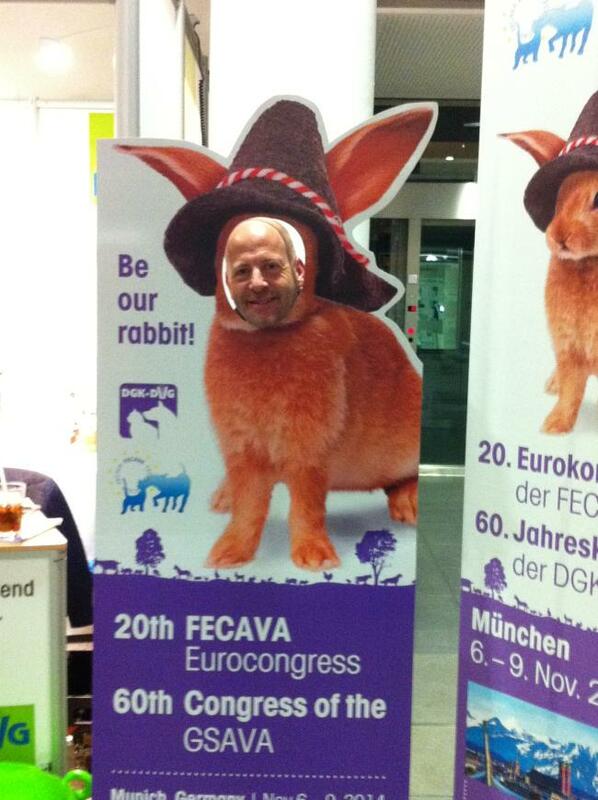 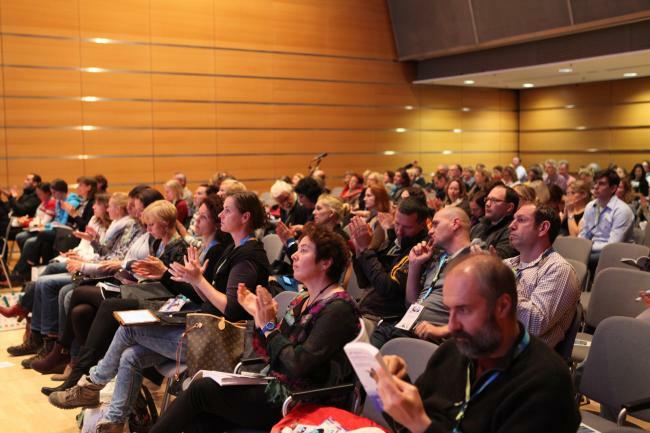 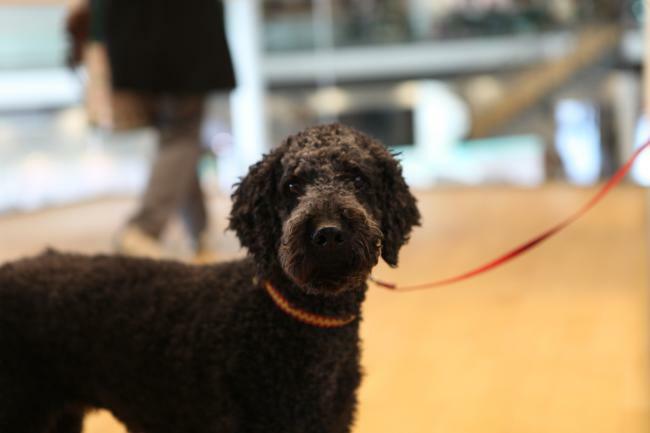 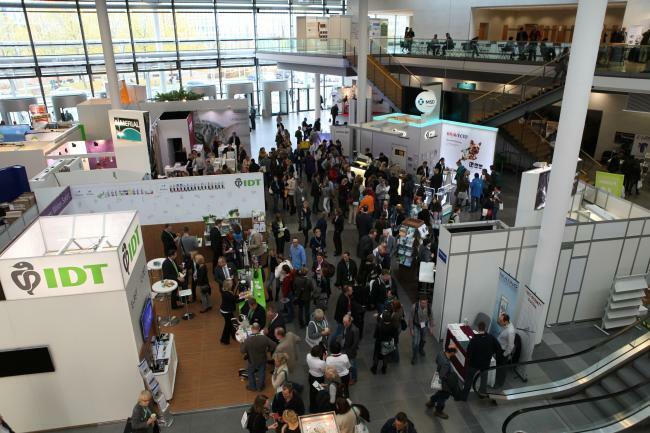 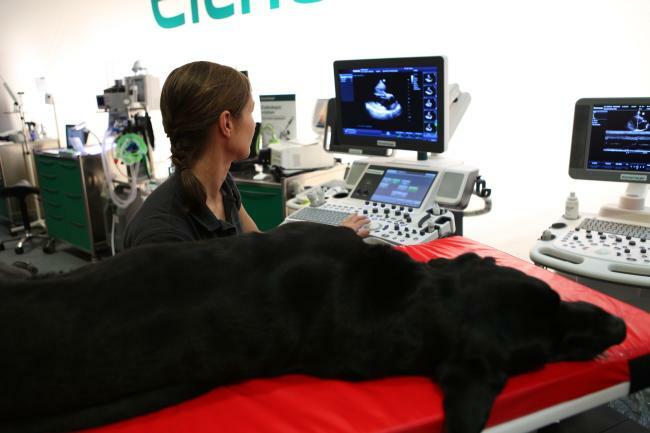 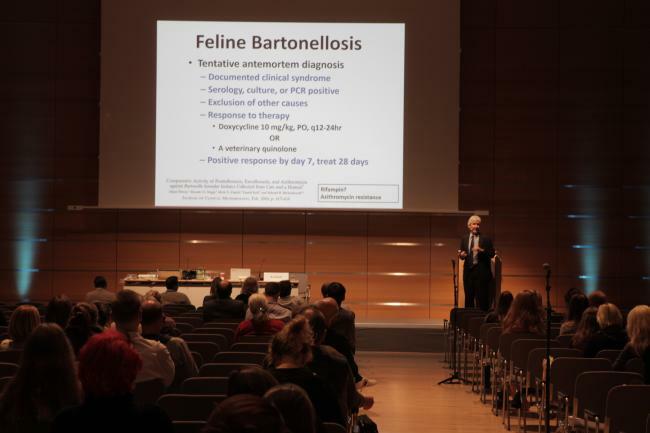 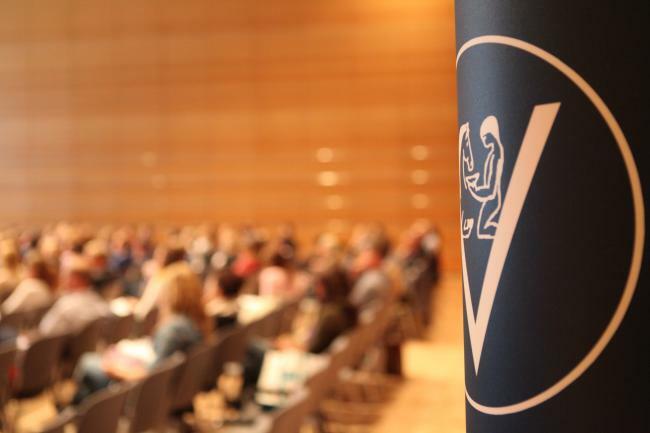 ... at the DVG-Vet-Congress in Berlin!